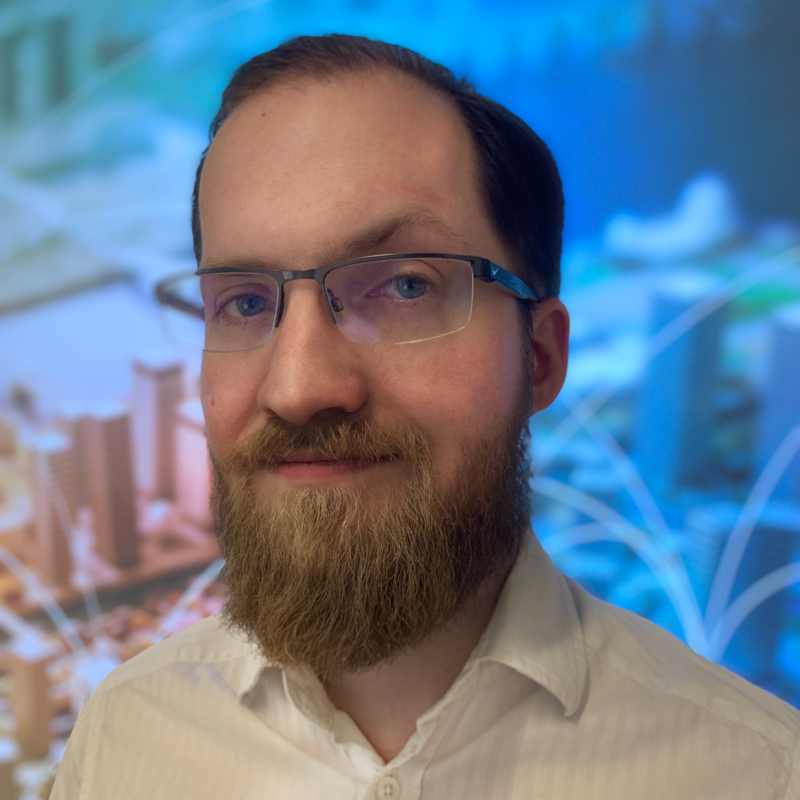 Experienced Connected City technologist and designer now leading the drive for Smart City planning and technologies. Bruce has been a Serial Entrepreneur, Mentor, Angel Investor, Startup Advisor, Constant Traveler and Lover of Life with unique blend of technical, sales, marketing and customer service skills to help City Planners understand the social, financial benefits by deploying Appropriate technologies. It’s not about the technology it’s about solving a problem. Previous products / projects for the telecom, wearable, IoT, VR, M2M and enterprise industry. Excellent technical and analytic skills, extensive international experience in manufacturing and distribution, with an understanding of different cultures and business practices. Having started or been involved early stages of 9 startups, the experiences of success and failures has given Bruce an open and enlightened view of the startup world. Dr. Angelika Sodian (40) was born and grew up in Villach, Austria. After she finished secondary school, she went on to study business administration with a focus on international management at the Karl Franzens University in Graz.During her studies she had various stints abroad and completed her MA dissertation in 2000 in Tokyo for the Austrian supplier for the microelectronics industry SEZ. Around that time she also took up learning Japanese. Having returned to Europe, Angelika successfully finished her studies in Graz and became a doctorate employee for the Austrian automotive supplier Magna Steyr. 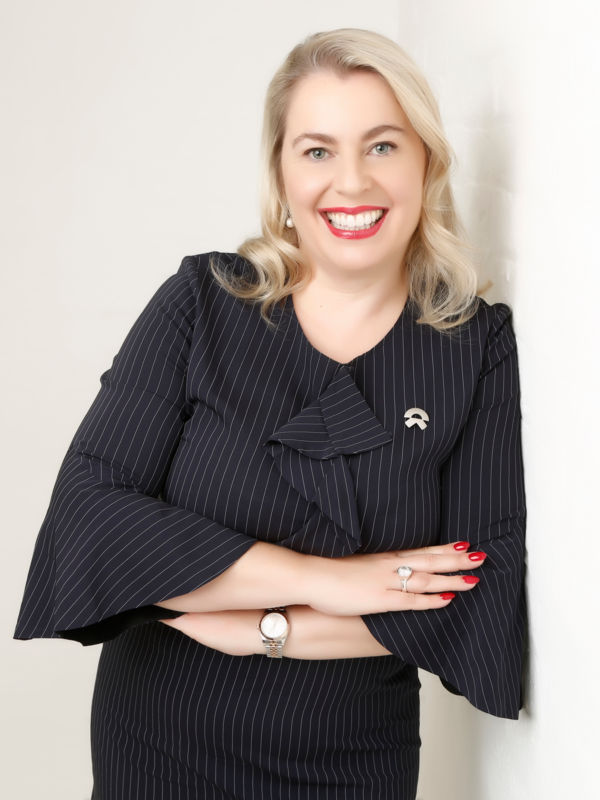 Earning her PhD degree in 2008, she went to work as a Magna representative in Shanghai.About eighteen months later Angelika founded her own automotive consultancy business in Hong Kong with a focus on business based in Shanghai. In that role she gained NextEV NIO as a client in 2015 and shortly after that joined the start-up firm in a managerial role. At NIO she currently holds the position of a Managing Director for the UK and she also forms part of the senior management team of the company. 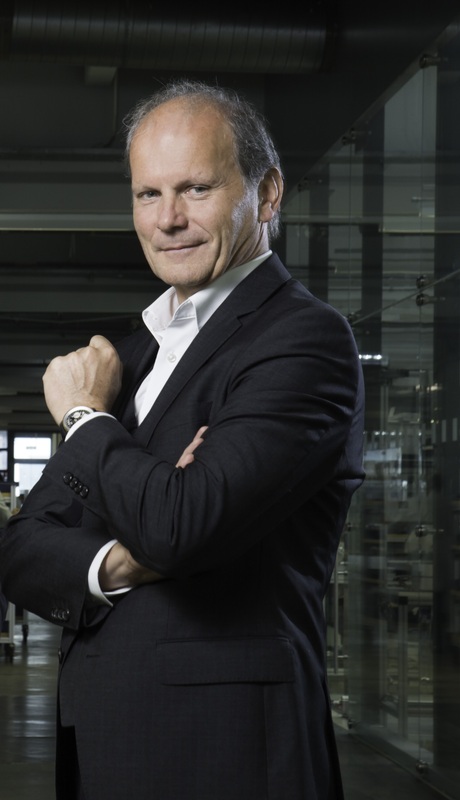 Reinhard Willfort is founder and CEO of isn-innovation service network, Austrian's leading innovation company, since 2001. As entrepreneur and founder of five further startups he supervises the innovation management processes of several leading Austrian companies. 2007 he started Austrian's 1. Crowdsourcing platform www.neurovation.net. In 2012 he established Austria’s first crowdinvesting platform 1000x1000.at. He is Co-Founder and Director Research, Development & Innovation of European Crowdfunding Network. 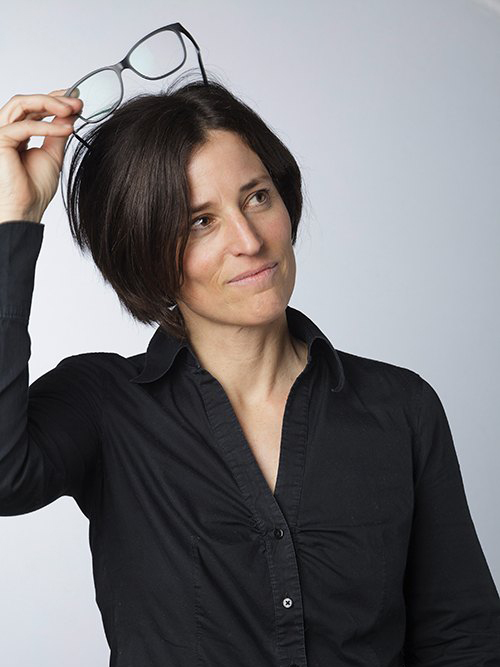 Michaela Binder is an expert in service design and accompanies design thinking projects. She has learned trade Communication & Marketing at the University of Vienna and in the master study course for Public relations. 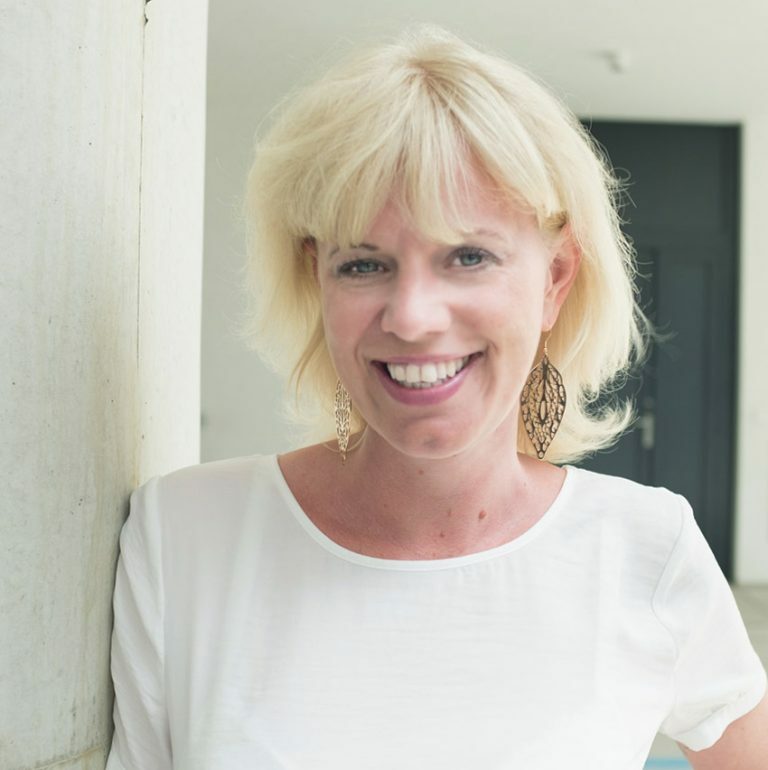 She has more than 14-year career in leading Communication and marketing functions Agencies and major Austrian Companies. 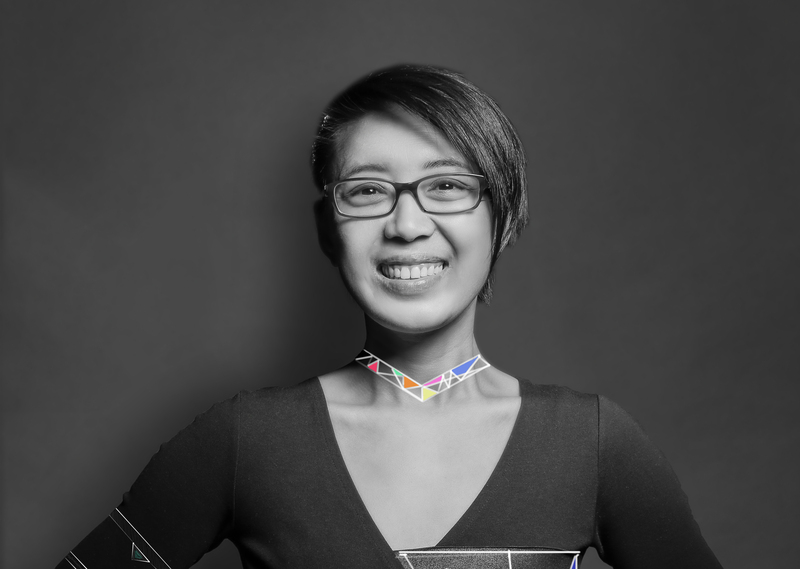 Since 2012 she is a Communication architect and consultant for Innovation processes. 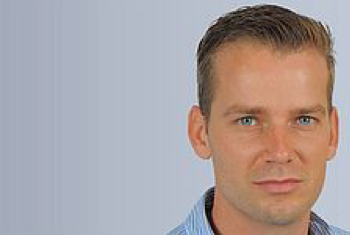 Timo van Roermund is leading NXP’s automotive security team. NXP is the global technology leader in the secure connected car with a market leading product portfolio in radar, car infotainment, secure car access, body and in-vehicle networking, safety, and powertrain. 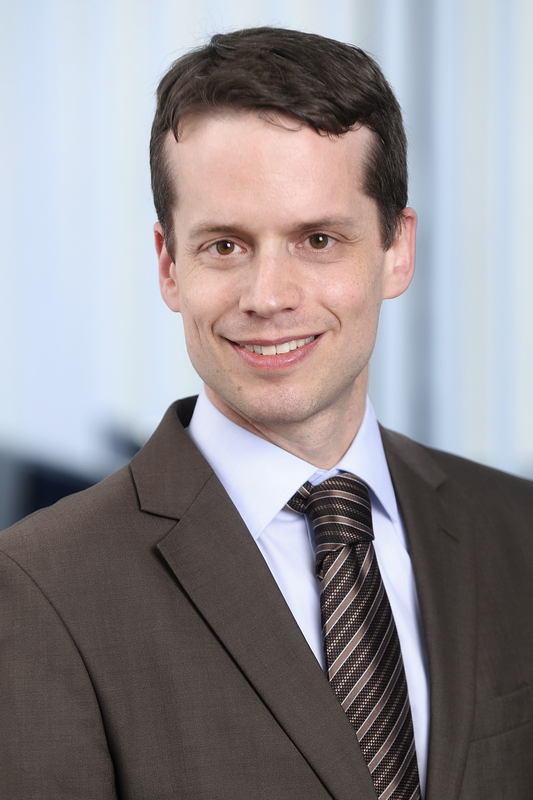 In his role in NXP, Timo is responsible for the automotive security strategy, technology, solutions, and processes. Timo has deep expertise in applied security for embedded devices, such as Vehicle-to-X communication systems, in-vehicle E&E networks, architectures and systems, Internet-of-Things appliances, mobile phones and wearable devices. He is a regular speaker at international conferences and member of the program committees for the escar EU conference (since 2018) and the Cyber Secure Car conference (2015-2017). He has made various contributions to industry consortia (Auto ISAC, C2C-CC, …) and to the development of (automotive) security standards. Timo received the MSc degree in Computer Science and Engineering from the Eindhoven University of Technology. 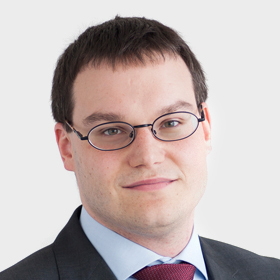 Mario Lamberger holds a MSc and PhD degree in mathematics from TU Graz. 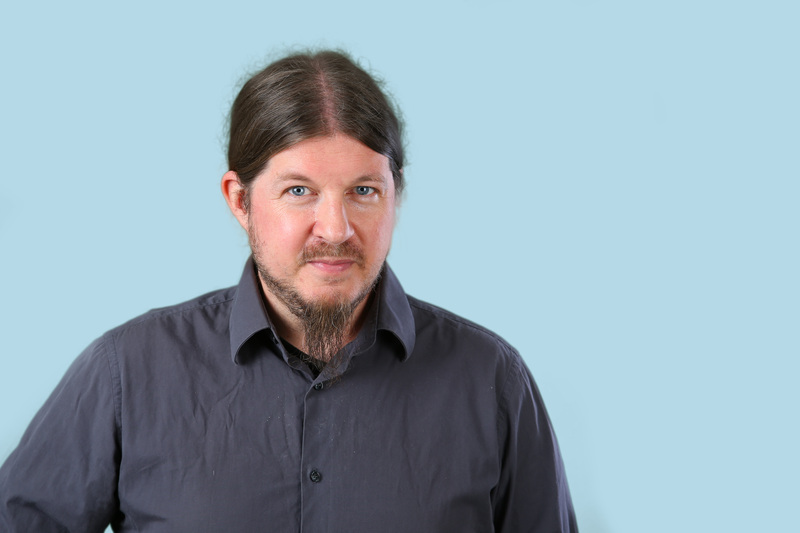 From 2003 – 2011 he worked at the IAIK of TU Graz as a researcher and lecturer in cryptography and security where in 2012 he received a habilitation for IT-security. In 2011 he joined NXP Semiconductors Austria where he is part of the Innovation Center Crypto & Security. His focus lies on cryptographic libraries, certification, random number generation and company-wide trainings on cryptography and security. Michael Jerne (Male) was born in Klagenfurt, Austria, in 1963. He holds a Master’s degree of Electrical Engineering (Dipl.-Ing.) from the Technical University of Graz. He has been active in the microelectronics industry for more than 25 years, initially in the start-up Mikron, dealing with RFID development and later on in Philips, where he had several positions in project and product management. In 2000 he established a world-wide technical support team, and in 2006 moved on to an R&D project office lead function in the Business Unit Automotive & Identification. 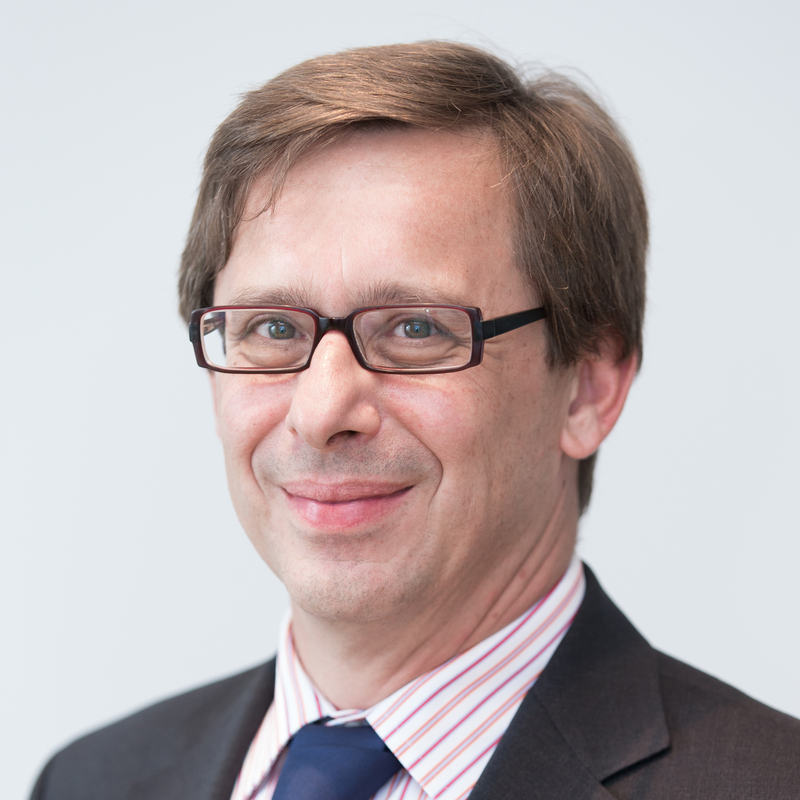 Since 2010 Michael Jerne is involved in collaborative R&D projects and external relations activities, with experience in national and European research projects. He is representing NXP Semiconductors Austria in various industrial and research oriented platforms including ECSEL Austria, FEEI and IV. It’s the startup business, where Bernhard Weber puts his professional focus and passion on. He is fostering the development of a vital ecosystem for startups in Graz and especially spin-offs from universities. That’s what he has been doing now for more than 150 startups since 2006. 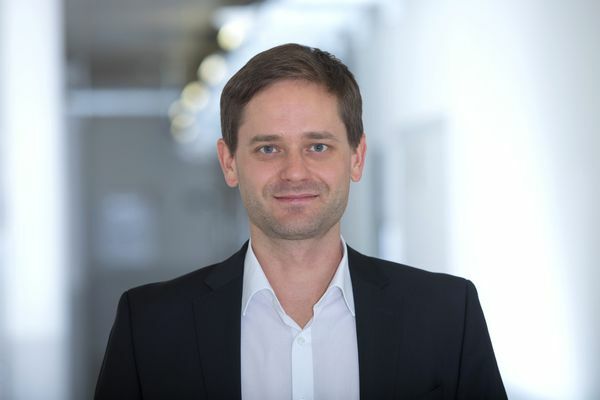 Bernhard is the Managing Director of the Center for Knowledge- and Innovationtransfer where he is responsible for establishing a hub for Innovators in the heart of the city, directly on the campus of the University of Graz. 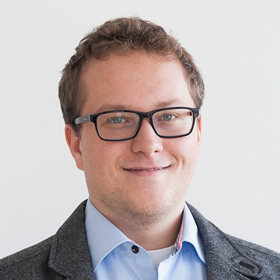 Besides other roles he is also Founding Member of the Board of Gründungsgarage, a support and accelerator program for student based early stage startups. 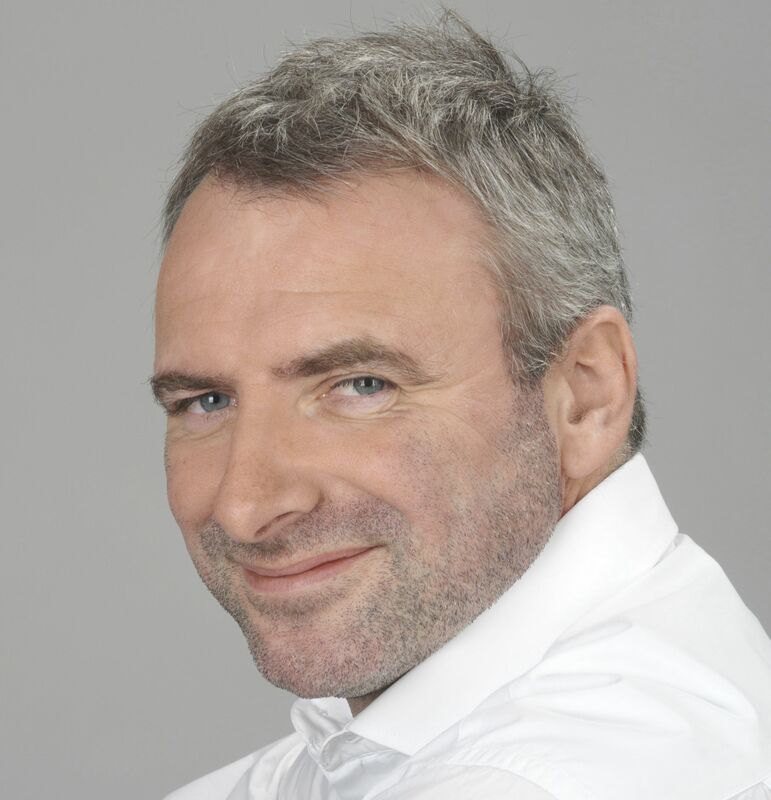 Since 2004, Jost Bernasch is Managing Director of the VIRTUAL VEHICLE Research Center in Graz, Austria. In that time VIRTUAL VEHICLE became an international recognized institution with over 250 employees and a turnover of 22 million Euros. Central topics are automated driving systems, vehicle safety and security. 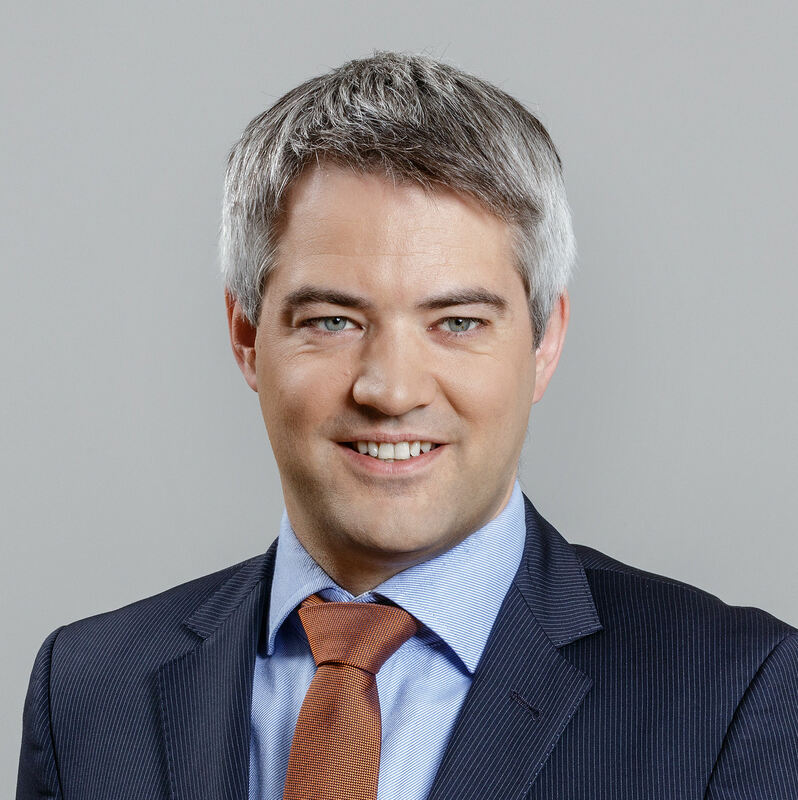 Since 2018, Jost Bernasch also serves as Managing Director for ALP.Lab – the “Austrian Light Vehicle Proving Region for Automated Driving”. Along with public roads, proving grounds, and facilities for data recording and processing, ALP.Lab offers a comprehensive virtual testing environment and a unique test laboratory for automated driving. 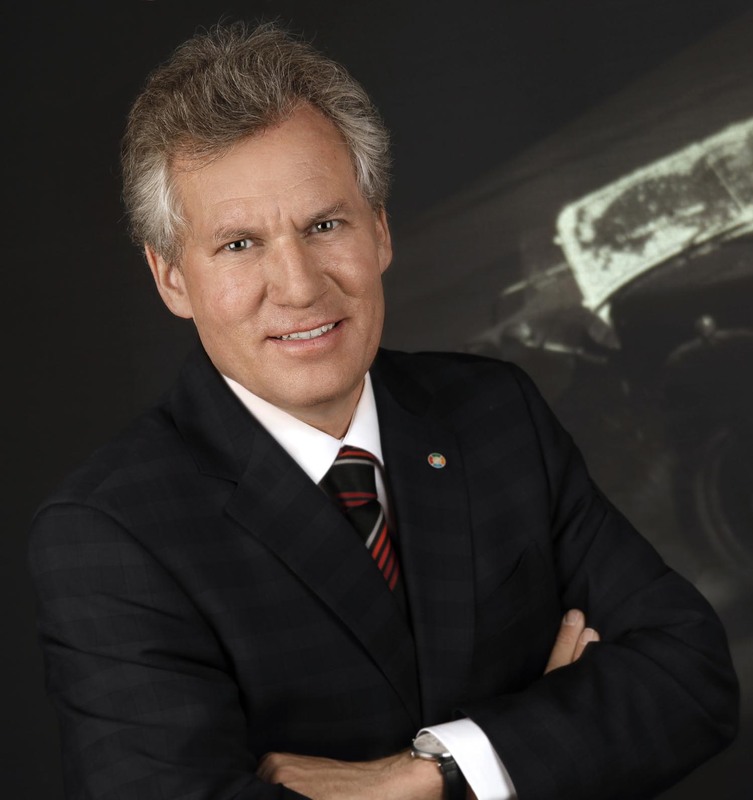 In the past, Jost Bernasch held several senior positions including Authorized Officer and Senior Project Manager of Information Technology, Düsseldorf, Germany and Director of Driving Simulation BMW, Research & Development Center, Munich, Germany. Jost Bernasch holds a PhD degree in computer science from the University of Munich and Dortmund. 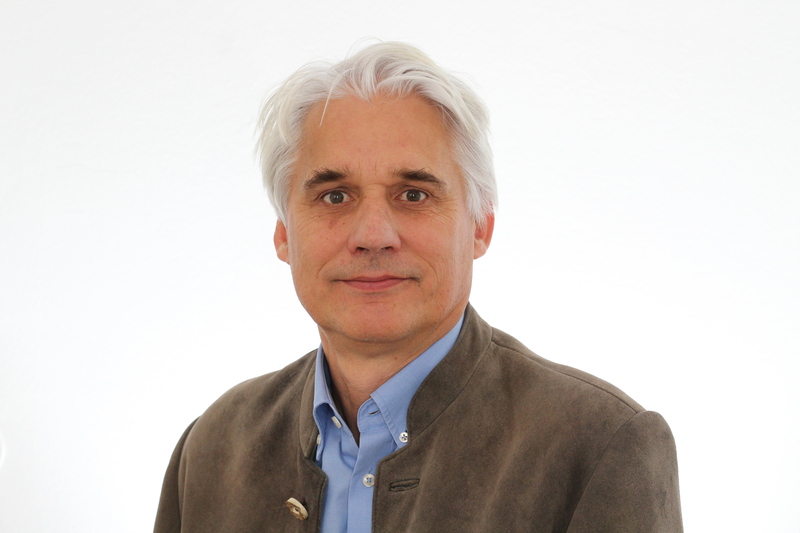 He is steering committee member of the International Driving Simulation Conference (DSC), founder and chair of the Graz Virtual Vehicle Symposium (GSVF) and chair of the International Styrian NVH Conference (ISNVH, in cooperation with SAE). 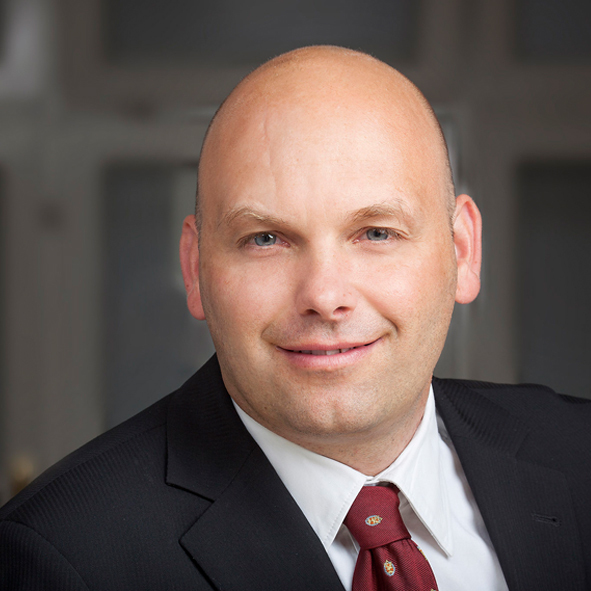 Mathias Brandstötter is deputy director at the JOANNEUM RESEARCH ROBOTICS Institute in Klagenfurt am Wörthersee since March 2015. He received his Doctor of Technical Sciences at UMIT in 2016 and his Dipl.-Ing. in Mechanical Engineering from Graz University of Technology in 2007. 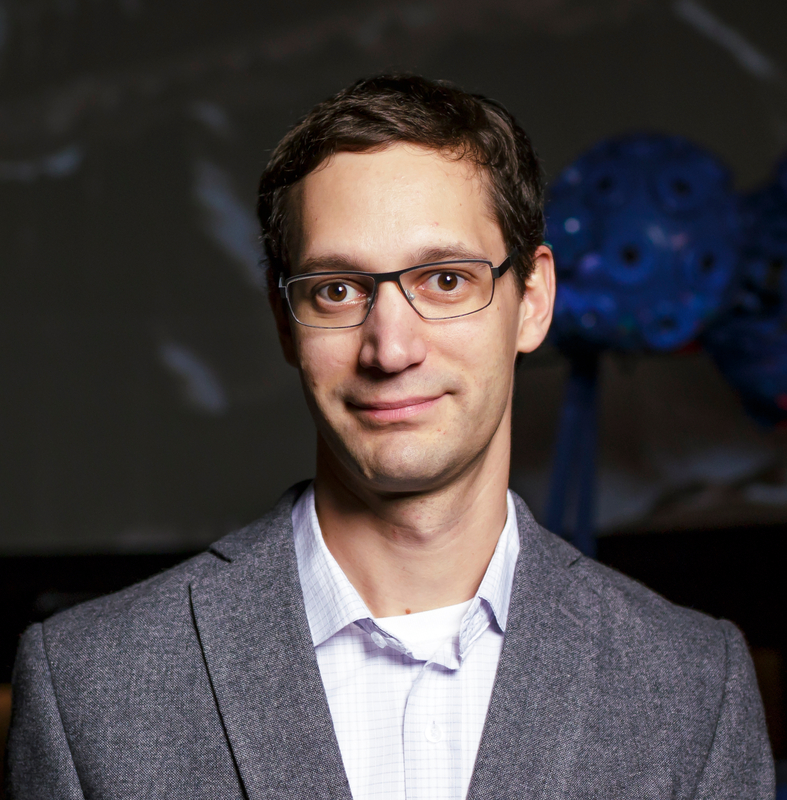 Mathias Brandstötter has more than 10 years of experience also as project leader in several fields of robotics, especially in kinematics, modelling and control. Moreover he is author and co-author of numerous relevant papers and publications. Dr. Oreski is Division Manager at the Polymer Competence Center Leoben (Austria) and heads the »Smart Material ans Surface Testing« division. He holds a PhD in Polymer Engineering and Science. His main fields of research are polymer science and testing as well as long term reliability and degradation behavior of polymeric materials and components for PV modules. In addition to his work for the PCCL, Dr. Oreski serves as lecturer at the Department of Polymer Science and Engineering of the University of Leoben. Johannes Oberzaucher acts as professor for Active and Assisted Living at the Carinthia University of Applied Sciences (CUAS), is the lead of the department for “Health and Assistive Technologies” at the Institute for Applied Research on Ageing (IARA) and is part of the Austrian „Research Group for Assisted Living Technologies“ (RALTEC). From a technological perspective he gained a broad experience in interdisciplinary technology development based on the user-centered design approach. His special interests include smart sensors, sensor fusion, HCI/HRI and AAL environments. In a socio-technological perspective he has experience in the field of UX (user-experience) and acceptance analysis as well as socio-technological study planning and implementation. He had the project- and WP-lead in several AAL related projects (e.g. Smart VitAALity (2017-2020), CARE4TECH (2016-2019), KSERA (2010-2013), eSHOE (2008-2010)). 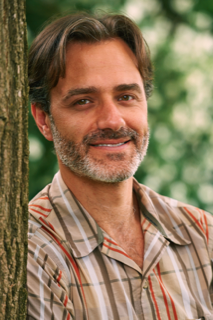 Jean-Pierre Kallanian is a Process Facilitator and Human Systems Specialist focusing on group dynamics and optimizing interdependence in organizations. Regardless of complexity, he co-creates work cultures that encourage and permit individuals to speak candidly, act purposefully, and work collaboratively. Jean-Pierre has a B.A. in International Business M.Ed. in Counseling Psychology along with 15 years of leadership experience in social work. He is trained in conflict transformation, negotiation, and mediation and the author of “What You Can Learn from Your Teenager: Lessons in Parenting and Personal Growth”. 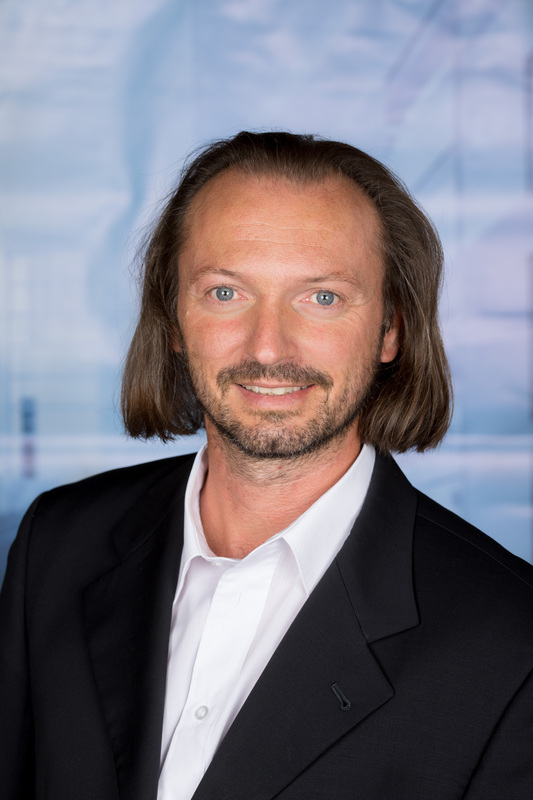 Univ.-Prof. DI Dr. Stephan Weiss is full Professor and head of the Control of Networked Systems Group at the Universitaet Klagenfurt (AAU), Austria. He is also lead and speaker of the doctoral school at AAU on Networked Autonomous Aerial Vehicles. He received both his MSc in Electrical Engineering and Information Technology in 2008 and his Ph.D. in 2012 from the Eidgenössische Technische Hochschule (ETH) Zurich, Switzerland. His Ph.D. Thesis on "Vision Based Navigation for Micro Helicopters" first enabled GNSS independent navigation of small UAVs using on-board visual-inertial state estimation. His algorithms were the key to enable the Mars Helicopter Scout project and corresponding proof-of-concept technology demonstration at NASA's Jet Propulsion Laboratory where he worked from 2012 until 2015 as Research Technologist in the Mobility and Robotic Systems Section and where he lectured at the California Institute of Technology. Dr. Andreas Reiter holds a Master’s degree in Information and Computer Engineering from Graz University of Technology. In 2017 he earned his PhD degree at the Institute of Applied Information Processing and Communications (TU Graz). His research focused on IT security and Cloud/Edge computing topics with technical and leading roles in European research projects (Cloud for Europe, SUNFISH, STORK2.0). 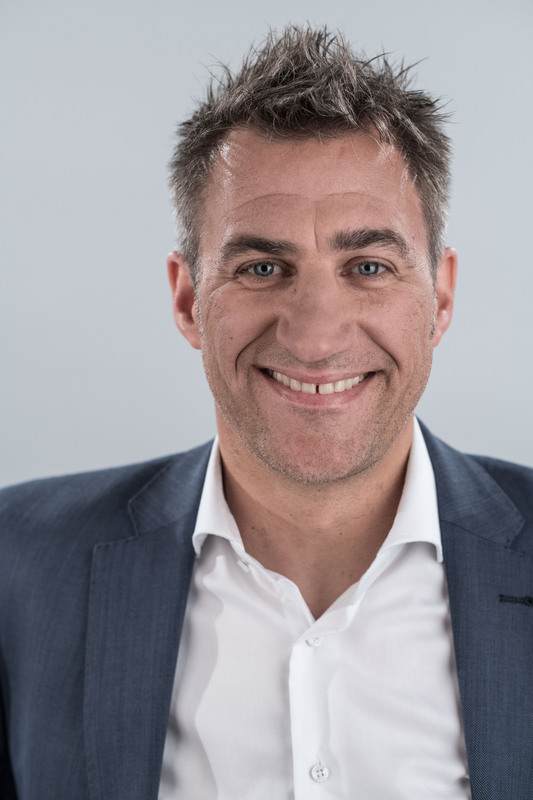 In 2018 Andreas Reiter joined Siemens as a security expert, focusing on the full spectrum of IT and OT security. In the Mindsphere security team (Siemens’ cloud-based IoT operating system) he researches on large scale automated security testing. Furthermore, he is involved in internal, national and pan-European research projects pushing the state-of-the-art of Industrial IoT security. Michael Mayrhofer-Reinhartshuber studied Technical Physics at Graz University of Technology. In 2014, he received his PhD in Experimental Physics and in 2015, he received his PhD in Medical Sciences from ​the Medical University of Graz. After collecting international experience in Australia and Spain, he worked for a social media start-up and founded his first company in Graz. 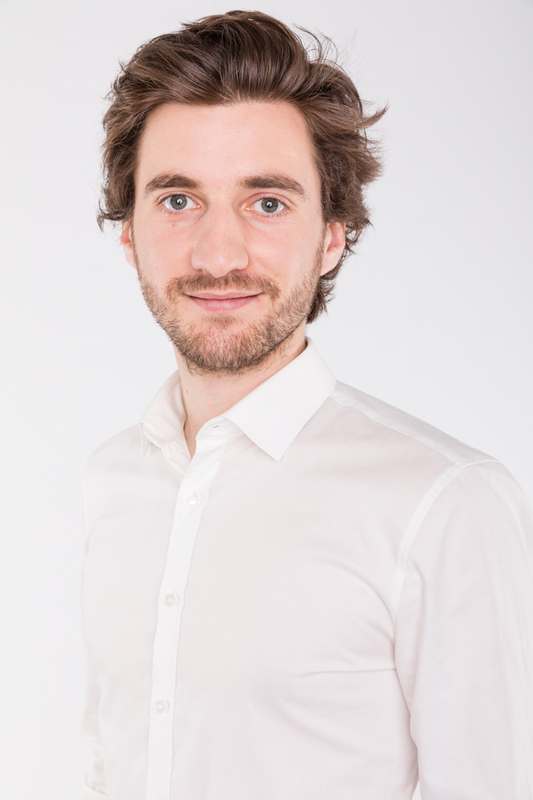 In 2016, he founded KML Vision together with Philipp Kainz to provide modern, high quality image data management and automated image analysis applications based on Deep Learning to customers from Life Sciences, Healthcare and Industry. His main motivation is to let Life Sciences benefit from recent achievements in information technology in order to significantly contribute to a faster and more effective way of research, development and production. Karl-Filip Coenegrachts is Master of Laws, specialized in National and International Public Law and European Law (Ghent University, 1996). He is a recovering bureaucrat, an experienced strategist and an urban activist. In 2018 he started the citiesofpeople partnership with the aim of bringing together the expertise that is necessary to build a future-fit city of the future. With his partners he offers his expertise and experience to governments, local authorities, companies, associations, federations and research institutes that are looking for support in vision development and implementation, inspiration or critical advice on the transition to the city/community/society of the future. As a bureaucrat he was a legal advisor (1997-2001) at the Belgian Ministry of Justice working on international cooperation in criminal legislation, a political advisor (2001-2004) to a Vice-mayor of the City of Ghent (Belgium) working on HR policy, ICT policy and international and development cooperation, and head of a new Department of the City of Ghent aimed at establishing an integrated strategic office for the city. 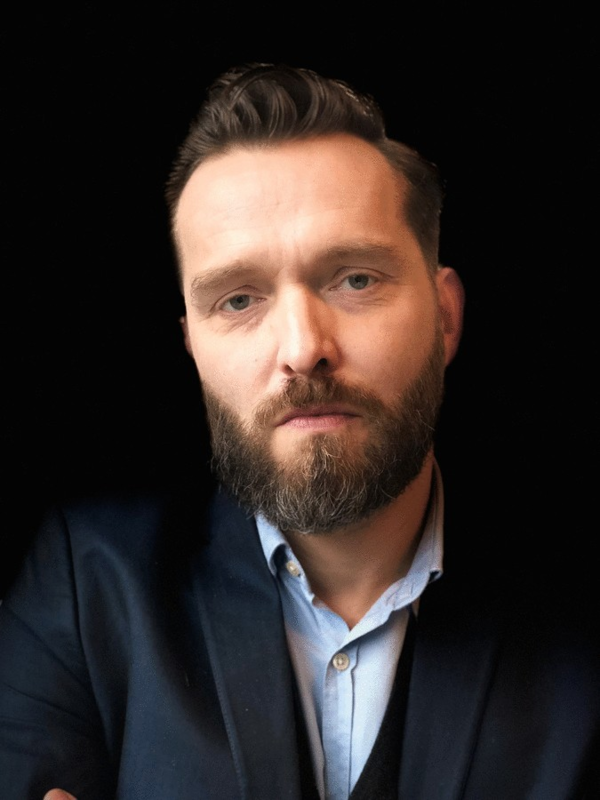 In this job he also co-founded Digipolis, the intermunicipal ICT company of the cities of Ghent and Antwerp, and Gentinfo, the first interactive online service center on a local level in Europe. 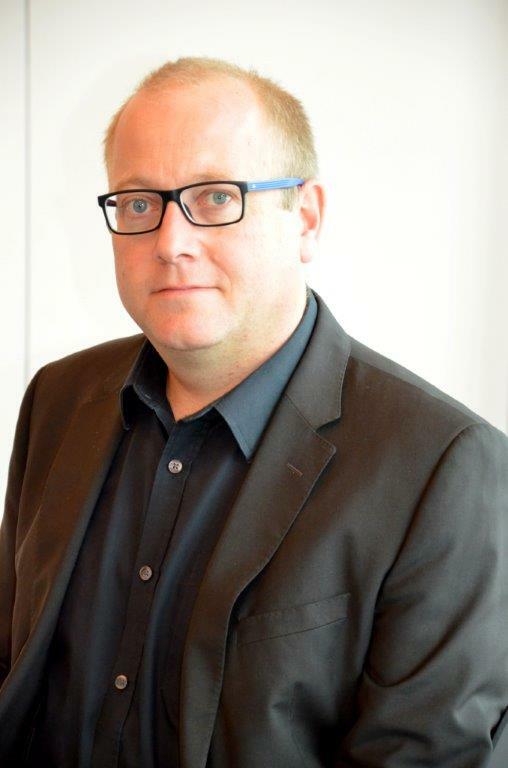 In 2015 he was also appointed Chief Strategy Officer of the Ghent Group of local authorities. Among other things he created an alternative vision and workable concept for Ghent on the Smart City, the City of People. In 2016 this concept won the Flemish Smart City Award (Slim in de Stad prijs). He was also expert of the Board of Directors of Digipolis, member of the board of the Knowledge Centre for Flemish cities and Ghent representative in the Executive Committee of EUROCITIES, the largest European cities network. Kevin Nikolai, CMSE® was born and grew up in Wr. Neudorf, Austria. After 10 years being a Project Manager, leading several engineering projects and collecting international experience in the field of industrial automation, he decided to share his versatile knowledge in machinery safety. Followed by his passion to help others, he joined PILZ in 2018. As Certified Machinery Safety Expert he works as Consultant and Trainer to advise customers, how to get their machines running safe, according to international guidelines and standards. 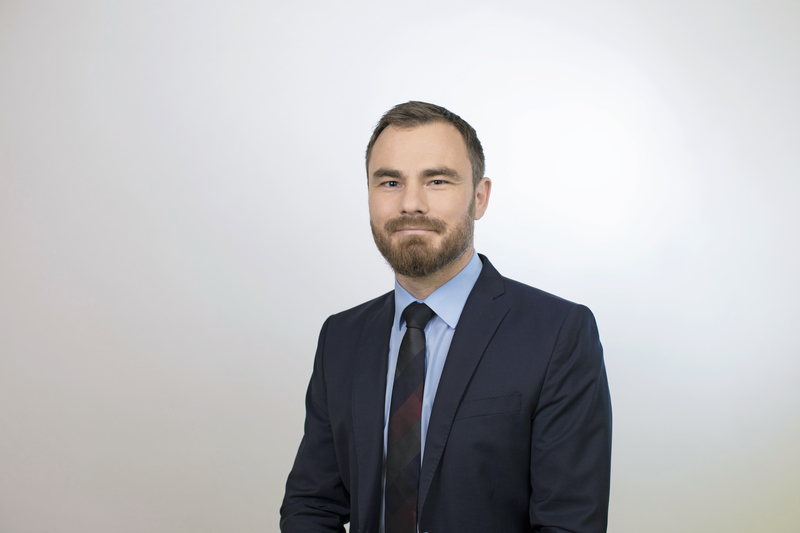 His focus lies on topics like fail-safe connectivity, digitalization and safety-application security to fulfill the requirements of Industry 4.0. 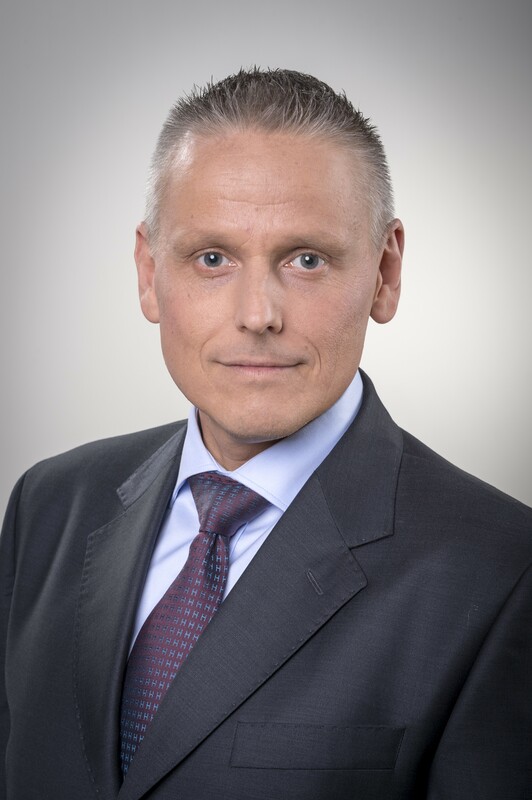 Josef Preishuber-Pflügl is EVP, CTO and business manager RFID+NFC of CISC Semiconductor and gathered significant experience in RFID since starting in 1995. He worked in international collaborative research projects over the past 14 years. He is author and co-author of a significant number of patents in the field of RFID. Due to his standardization involvement and competency he became chairman of the RAIN RFID Technical WG, Austrian ASI IT and RFID Standardization, ISO/IEC JTC1 SC31 WG4 “RF communications” including RFID, RTLS and security. Furthermore, he is project editor of multiple standards including ISO/IEC 18000-63 “UHF RFID” and ETSI EN 302 208 “UHF RFID radio regulations”. In 2011 he received the IEC 1906 award. 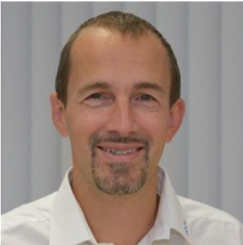 Günther A. Maier is heading the materials for microelectronics department at Materials Center Leoben since its foundation in the year 2012. Before that, he was working as project leader, programme manager and assistant to technical general management in the Comet centre “Materials-Process and Product Engineering” with an annual turnover of app. 12 Mio€ and in the research project cluster “NanoCoat” with an annual turnover of about 1 Mio€/a. The same time he was following a scientific career in the field of nano-analytics by X-Ray based methods, the field where he made his master in physical chemistry in 2000 at University of Graz (Austria) and his PhD 2005 from the University of Leoben (Austria). He has authored and co-authored currently more than 50 publications in indexed journals and contributed to many conferences and workshops. Hubert Mitterhofer studied Mechatronics at Johannes Kepler University (JKU), Linz and the Université Pièrre et Marie Curie, Paris with a focus on robotics and automation. During his Ph.D. studies at JKU in the area of electric drives, focused on the design of high-speed electric motors with magnetic bearings, he participated in several international industrial and academic research projects. In 2013, he joined the Linz Center of Mechatronics (LCM) in Austria - first as a Research Engineer in the field of electric machine design, later as the head of the Business Area Electrical Drives. He has authored and co-authored scientific publications, patents, and research proposals and has worked in industrial development projects in diverse fields such as automotive, medical, textile, logistics, home appliance, etc. Dr. Ralph WEISSNEGGER, MSc. holds a Master degree in Telematics (2013) and a PhD degree in Information and Computer Engineering (2017) from Graz University of Technology, Austria. His field of experience include design and verification of cyber-physical systems with special focus on functional safety (e.g. automotive ISO26262). Ralph Weissnegger is author and co-author of several scientific papers in this field. Working for CISC since 2014 he is technical project leader responsible for several international research projects, as well as product manager for the IoT platform COYERO. Prior to this function he worked as Director of Public-Private Affairs for AVL List GmbH. 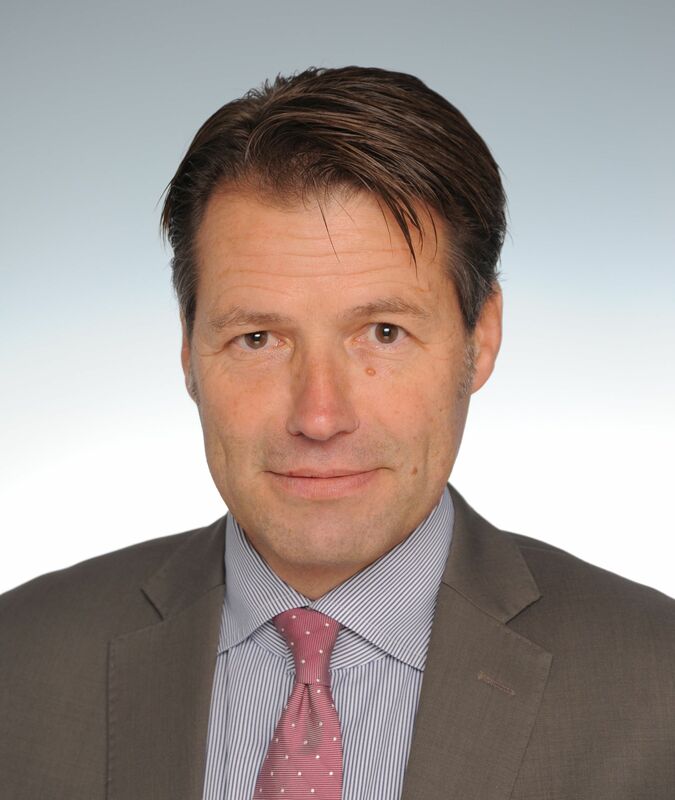 Josef Hackl is CEO of WILD Group/Austria, coordinating the contract development and manufacturing of high-tech products in the medical device and optical Industry, with four sites in Austria and Slovakia, sales and technical issues. Diether Kramer is a trained social and economic scientist. 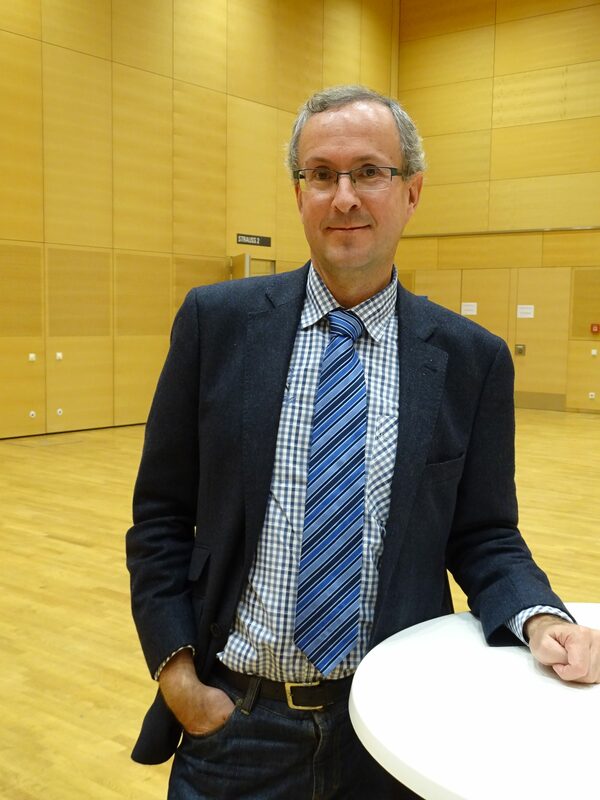 He received his doctorate at the University of Graz in 2013 with a thesis on the epidemiological transition. In addition he completed numerous trainings at the Max Planck Research School for Demography and from the Quantitative Methods in the Social Science 2 Program. Since 2007 research assistant at the University of Graz, then freelance employee for the Max Planck Institute for Demographic Research, editor for the “Wirtschaftsnachrichten” and for AVL List GmbH. From 2014, he was employed in consulting of the market research company IMS-Health. Since the end of 2015, Diether Kramer has been responsible for innovative data usage and predictive analytics at Steiermärkische Krankenanstaltengesellschaft m.b.H. 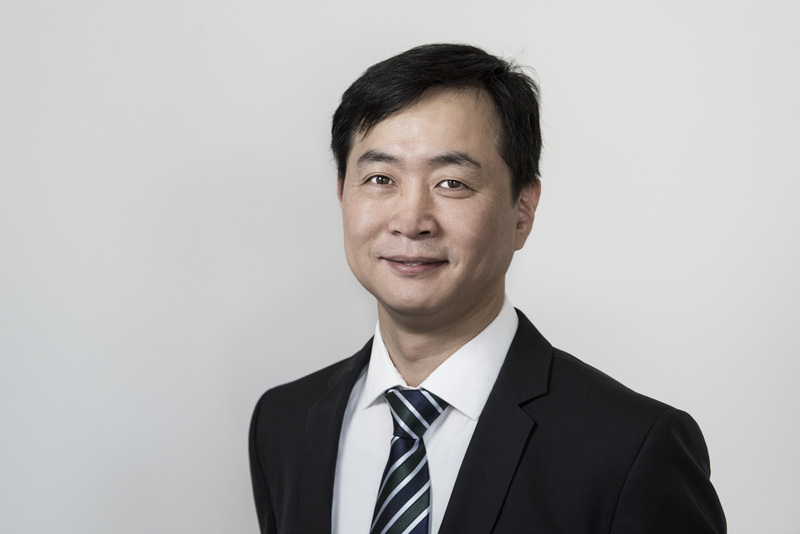 Thomas Kau is the head of the Institute of Radiology at the General Hospital of Villach, Austria, and initiator of the AICI Forum Villach – Artificial Intelligence in Clinicl Imaging. 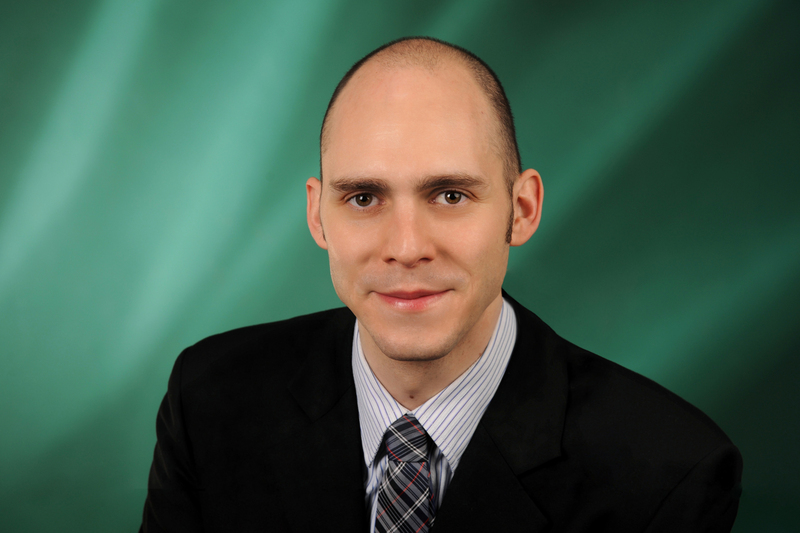 He is a board certified radiologist and holds the European Diploma in Neuroradiology. 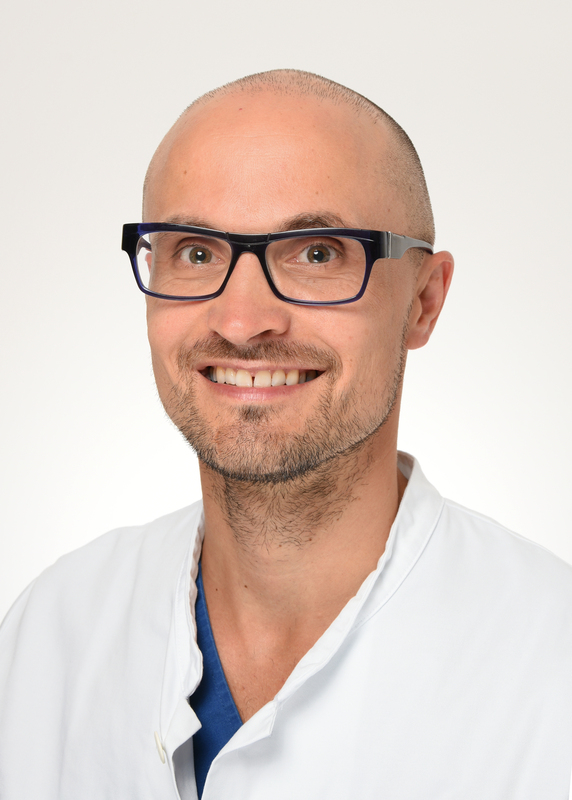 After receiving his MD at Karl-Franzens-University Graz in 2003, he was a resident at the Institute of Diagnostic and Interventional Radiology at Klinikum Klagenfurt, Austria. In 2010, he absolved a fellowship in pediatric neuroimaging including fetal MRI at the University Children’s Hospital and the University Hospital Zurich, Switzerland. His research activity mainly focuses on vascular and neuroradiology with publications in the American Journal of Neuroradiology, European Radiology, and others. Dr. Kau is a reviewer for journals like European Radiology and Neuroradiology. He was recently appointed as a guest professor of the Medical University of Vienna and established a multidisciplinary study module for the Medical University of Graz, Austria. 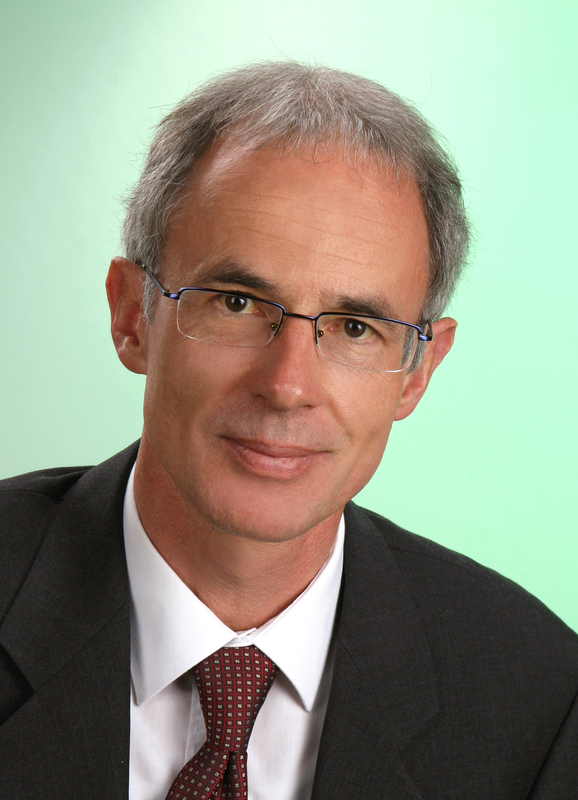 Markus Puff has been with the TDK Electronics GmbH & Co OG since 2000. After starting with process development in the ceramic multilayer technology, followed by a short look into semiconductor packaging technologies, he worked on different product development topics. He is now responsible for corporate R&D in the Piezo and Protection Devices Business Group, where his focus is on innovative themes and product development. In 1999 Markus Puff graduated from Technical University Graz in Austria with a Master of Science in Physics. Chen How Cheah has been with TDK Electronics GmBH & Co OG since 2016. He is the project manager for CeraPad™, where his focus is on application and product development. In 2013, Chen How Cheah graduated from University of Bradford with a Bachelor of Engineering with First Class Honours in Electrical and Electronic Engineering. 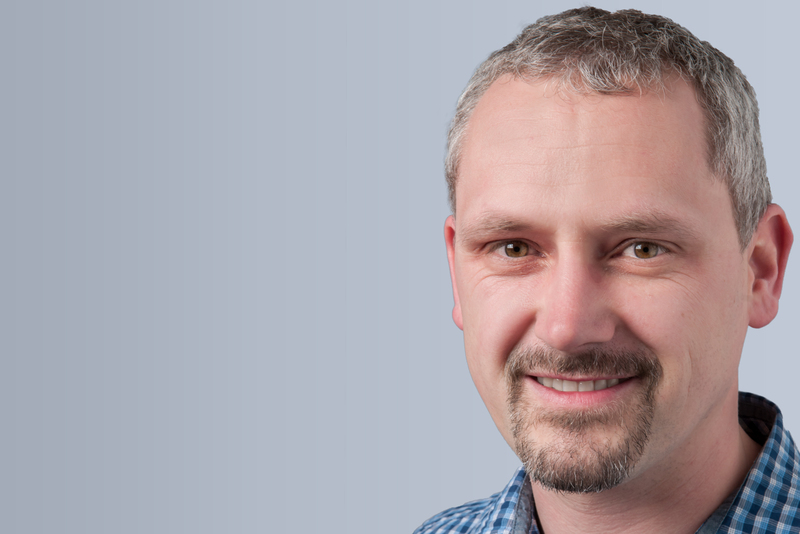 Anton Köck is Key Researcher at MCL and leads the research area "Sensor Technology". His research interests include the development of multifunctional nanomaterials, CMOS-based nanosensors, and 3D integration to smart multi-sensor systems. Anton Köck completed his diploma and doctoral studies at the University of Innsbruck in the field "Experimental Physics". After his four-years PostDoc period at the Walter Schottky Institute of the Technical University of Munich, he headed the Optoelectronics Research Group at the Institute for Solid State Electronics of the Vienna University of Technology, where he habilitated in 1998. Thereafter, Anton Köck worked as a professor of physics and materials science at the University of Applied Sciences Wiener Neustadt. In 2004 he moved to the Austrian Institute of Technology GmbH, where he established the Nano Systems department and started his research work in the field of nanosensors. Anton Köck has published more than 200 scientific papers in journals and at conferences. Dr. Christoph Grimmer studied chemistry and economics in Austria and Germany. During his academic career he focused on energy storage based on hydrogen technologies. In 2017 he founded a spin-off with two colleagues from Graz University of Technology in the field of photovoltaics and energy storage. The core product of the spin-off is SOLMATE, is a micro power plant that can be installed by anyone by simply plugging it in. In the spin-off his professional focus shifted towards management and entrepreneurship. 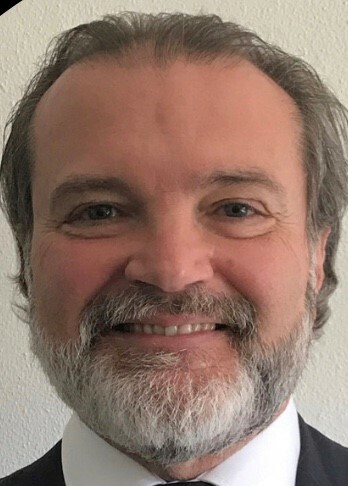 Since August 2017 Dr. Michael Stadler has been the Chief Technology Officer of the San Diego based Bankable Energy | Xendee Corporation and he is also a Senior Scientific Advisor at Bioenergy2020+ GmbH for Microgrid research. Before that Michael Stadler was a Staff Scientist at Lawrence Berkeley National Laboratory at the University of California at Berkeley and leading the Grid Integration Group. He is a recipient of the US Presidential Early Career Award for Scientists and Engineers (PECASE). 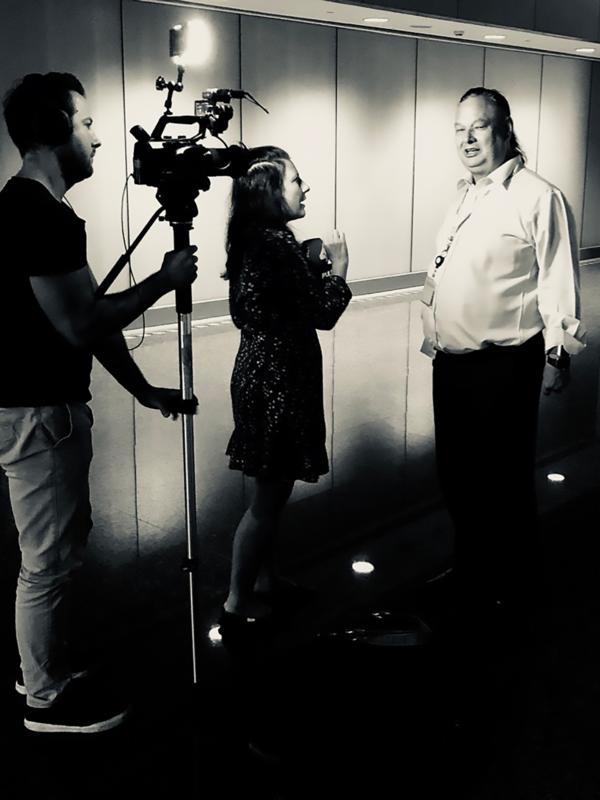 He led a team of more than 40 researchers and students in the USA, China, and Europe and he is also the CTO and founder of the Center for Energy and innovative Technologies (CET). Michael has published 240 papers, journal papers, and reports in his 17 year career to date and holds 9 copyrights. He is also leading the design, implementation, and operation of the first Austrian Microgrid testbed. Thomas Zach is since 2001 active in the area of engine and vehicle testing. He started in the electrical engineering of testbeds, than he moved as technical sales expert for two years to Japan and was department manager for solution engineering at AVL in Graz. From 2016 till 2017 he founded six sales and service subsidiaries for Anton Paar as General Manager. Anton Paar develops, produces and sells analytical instruments for laboratories and process analytical technology. In 2017 he founded the testing region for automated driving "ALP.Lab". Along with public roads, proving grounds, and facilities for data recording and processing, ALP.Lab offers a comprehensive virtual testing environment and a unique test laboratory for automated driving. 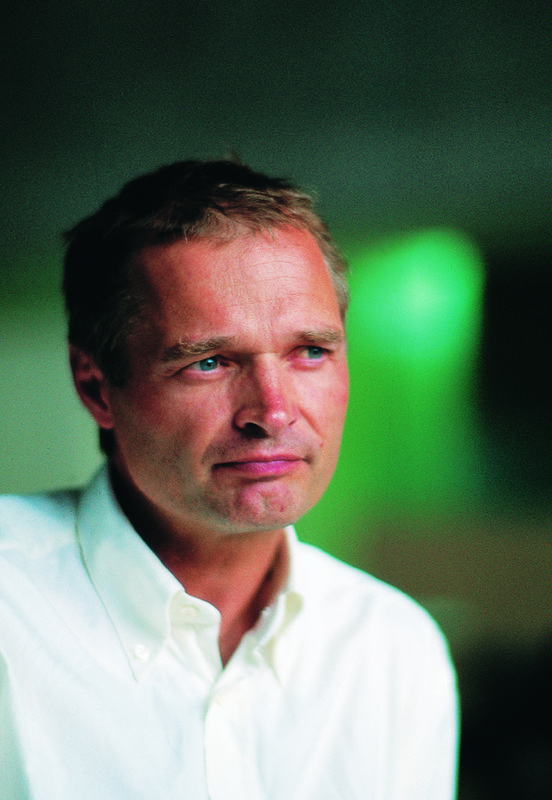 Peter Käfer holds an architecture degree from TU-Graz and worked with focus on building-technology for several achitecture offices during the 90s. 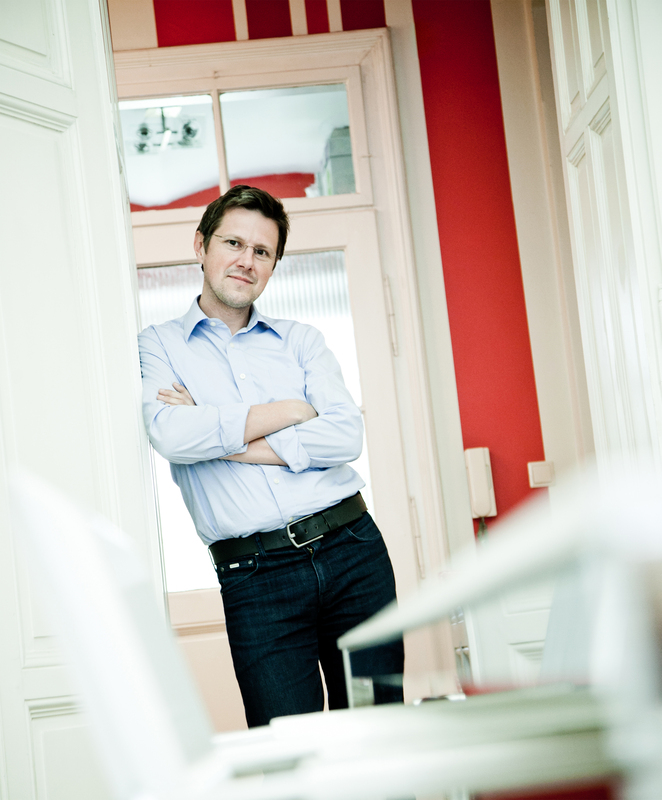 In 2003 he founded his first company developing webbased software solutions for automotive and ICT-enterprises. Bundling these competences he started meo ENERGY in 2014.
meo ENERGY is specialized in integrated energy-management, coupling the sectors heating, eletricity and e-mobility. Now the company is scaling from solutions for family houses to residential buildings and is providing microgrid-technology for upcoming energy-communities. Joerg Hauptmann received the M.Sc. degree in electrical engineering 1988 from University of Technology in Graz, Austria. In 1988 he joined Siemens Technologies Design Center Austria in Villach, where he started to work in analog design in the field of communication. His main interest was in the field of Sigma Delta A/D and D/A converters and analog frontends for xDSL and voice applications. He was engaged to build up a big mixed signal design team, which he was leading for several years. In 2001 he became Senior Principal of Mixed Signal Design and Systems and is owner of more than 65 granted patents and author of more than 20 publications. From 2004 till 2015 he was responsible for the overall MS & RF development for Wireline Communication within Infineon (2004-2009) and Lantiq (2009-2015). 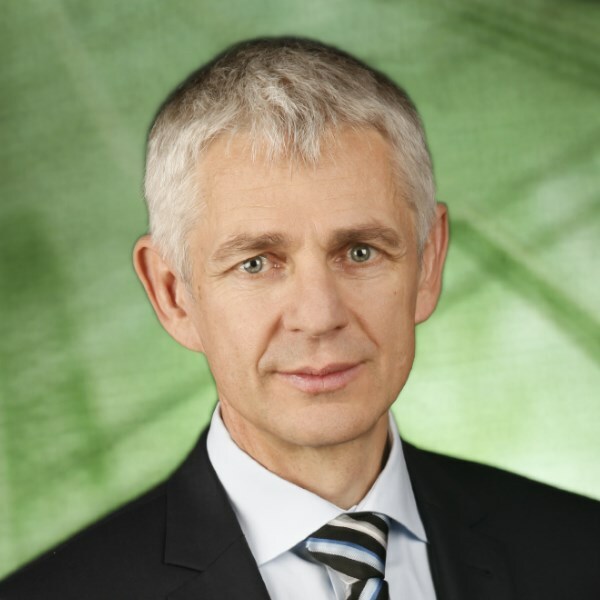 Intel acquired Lantiq in 2015 and Jörg Hauptmann became Managing Director of Intel Austria GmbH in December 2016 and is still having in parallel the responsibility of MS & RF development within Intel’s CHD business unit. 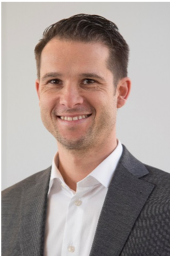 As Global Marketing Manager for Access Management at NXP Semiconductors, Christoph Zwahlen is driving contactless solutions in applications including hospitality, campus/university, micropayment, and loyalty. Together with leading system providers Christoph drives innovative solutions for smart stadiums. Besides this, he is responsible for the product marketing of NXP’s highly successful MIFARE DESFire IC portfolio. 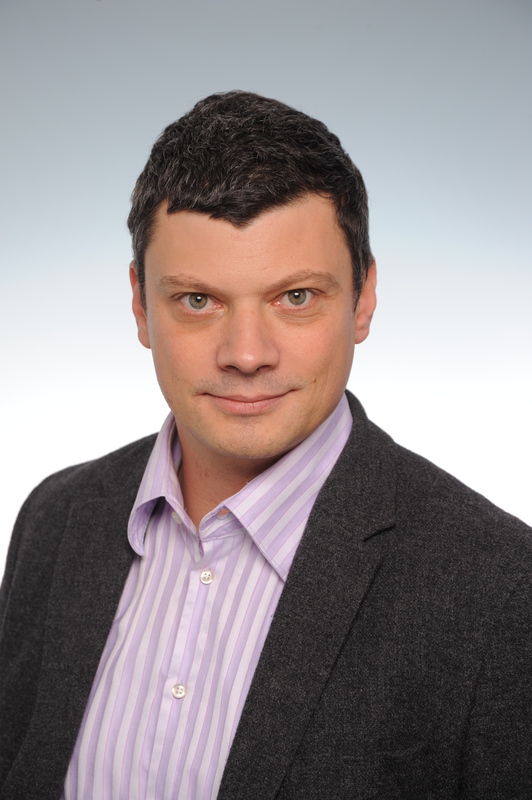 Dominik Berger is consulting silicon alps RFID/NFC region. As entrepreneur, innovator, consultant and trainer he focuses on innovations and participative organisation development. He is Co-developer of the SK-Principle®, an innovative group decision method. He was a member of the pioneer Team Mifare®, world’s most successful RFID Brand at Mikron, Philips and Infineon. He was driving international standards ISO14443 and ISO 10536 and holds 12 Patents in the field of RFID and Contactless Smartcards and was a founder of RFiT Solutions, detego a RFID Software and Solution startup. 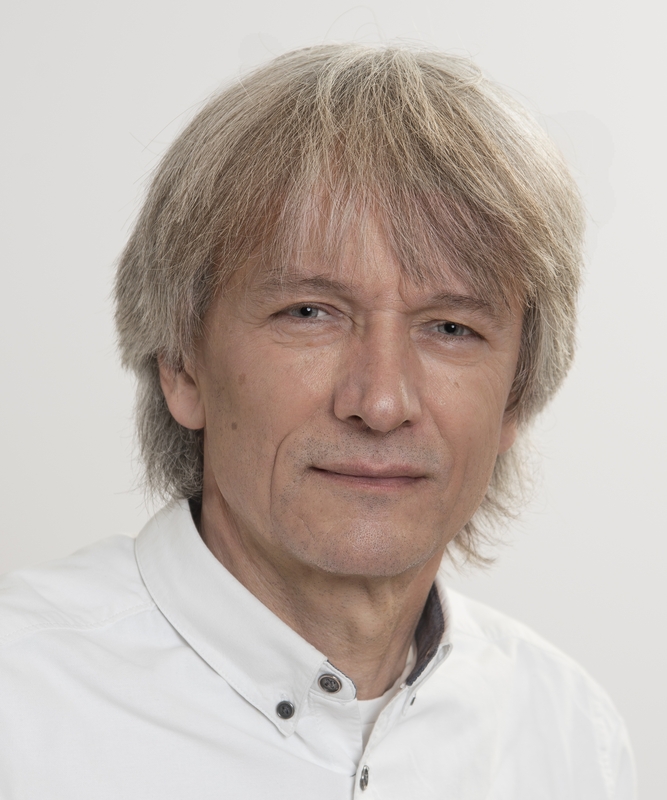 Helmut Wöllik is Professor at the Carinthia University of Applied Sciences. The topics of his lectures as well as the fields of research covers RFID systems for sport events, Planning of Mobile and Outdoor Networks. He holds a Dipl.-Ing. and a Dr. degree from the Technical University of Graz. Since 2017 he is member of the RFID Cluster Focus group of the Silicon Alps Cluster. 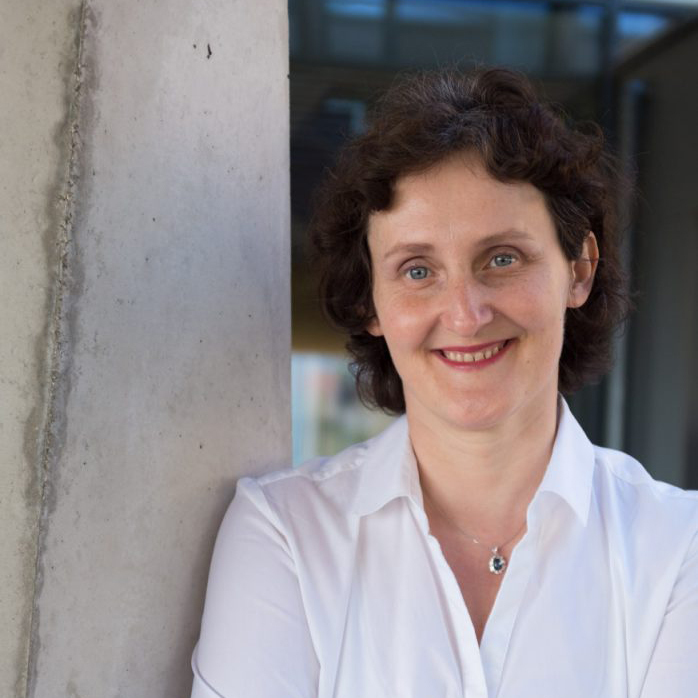 Dr. Christina Hirschl is area manager at CTR Carinthian Tech Research AG, an Austrian industry-oriented research and development center for smart sensors and system integrations and works on different research topics of smart system integration and renewable energy. Acting as link between science and industry CTR uses latest research results achieved in the area of sensors to make products, technologies and processes simpler, safer and more effective. She studied physics at the University of Vienna and worked during her PhD at the investigation of chaotic properties of fluids. After the PhD she moved to industry and worked for Ruag Space as thermal engineer for several years. Since 2010 she became a project manager for renewable energy projects at CTR Carinthian Tech Research AG and 2014 area manager for Smart Systems. CIS - How to make smartness smart? The architect Markus Pernthaler is responsible for numerous well-known urban development projects – besides others the Graz main square, the state hospital LKH Graz, the tower of the Graz airport, the event hall Helmut-List-Halle and the residential project Messequartier Graz. Markus Pernthaler was President of the Central Association of Architects until 1999. 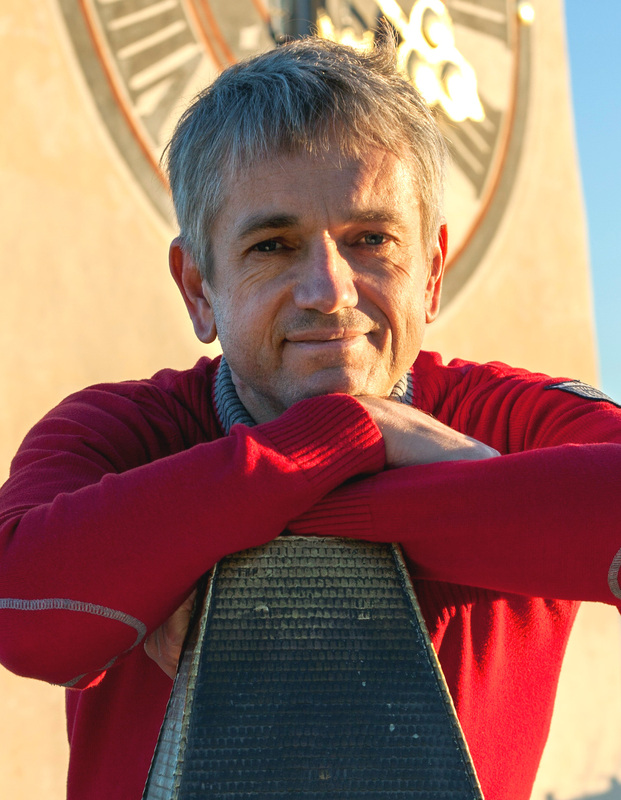 He has been honored with numerous awards and currently serves as artistic director of the Smart City Graz project. 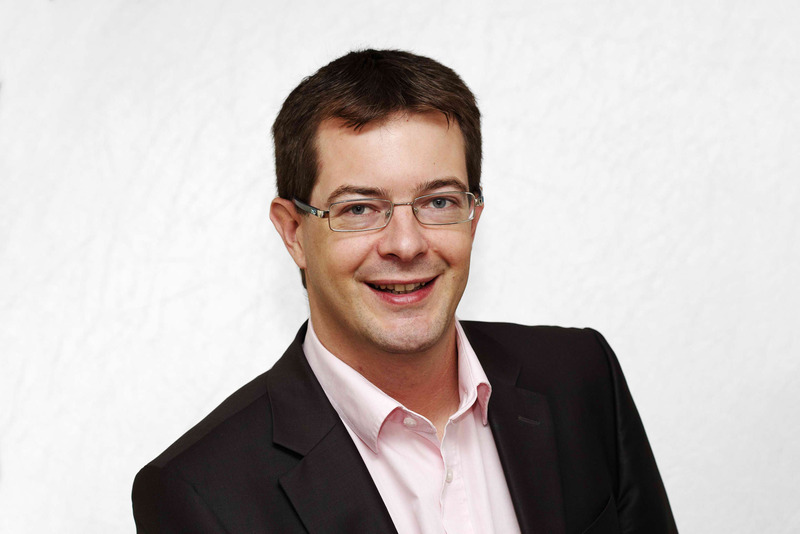 The authorized signatory Hannes Walter heads the "Business Development and Industrial Solutions" division at Evolaris. He focuses on the development of digital assistance systems with a high degree of user-friendliness. Previously, he founded his own startup that offers 3D printing, studied interactive media design and worked for international companies as product developer and designer. Since 1993, the Graz native Joerg Wukonig has been dealing with the Internet. 1999, together with a colleague, he founded wukonig.com, an agency for digital communication. At that time, the focus was still on the creation of multimedia CD-ROMs and e-learning programs. Today they consider themselves an Internet agency with a strong emphasis on inbound marketing. 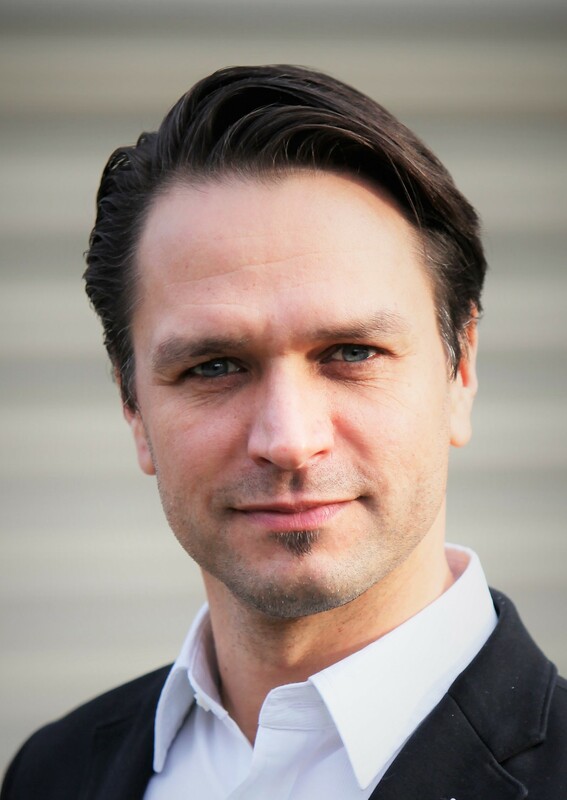 As an expert in online marketing, Joerg Wukonig is also in demand at expert conferences in Germany and abroad. 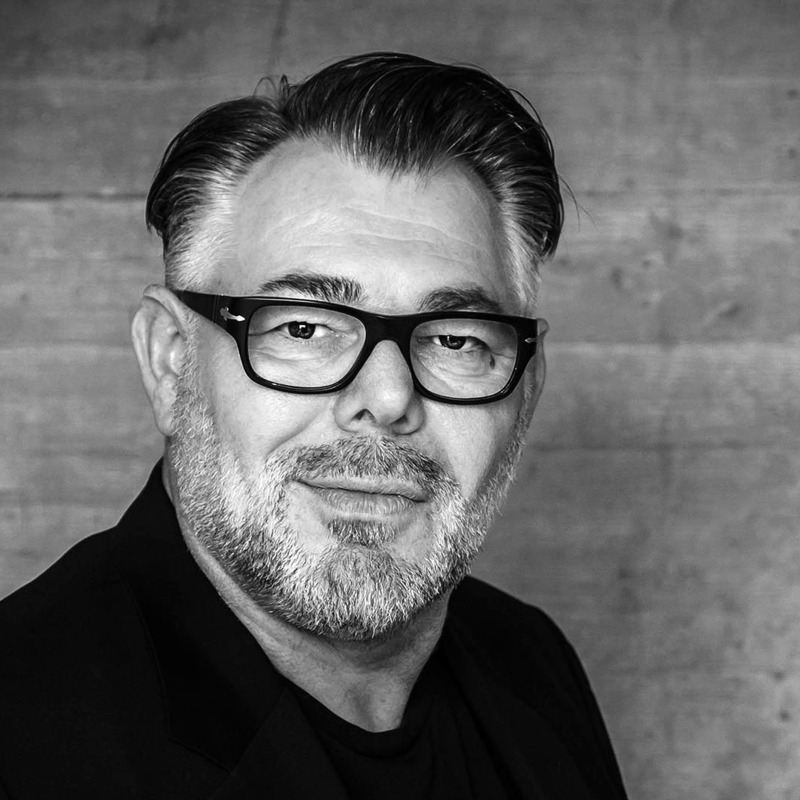 As the managing director of Creative Industries Styria GmbH, Eberhard Schrempf has been developing the network of creative industries in Styria for many years. 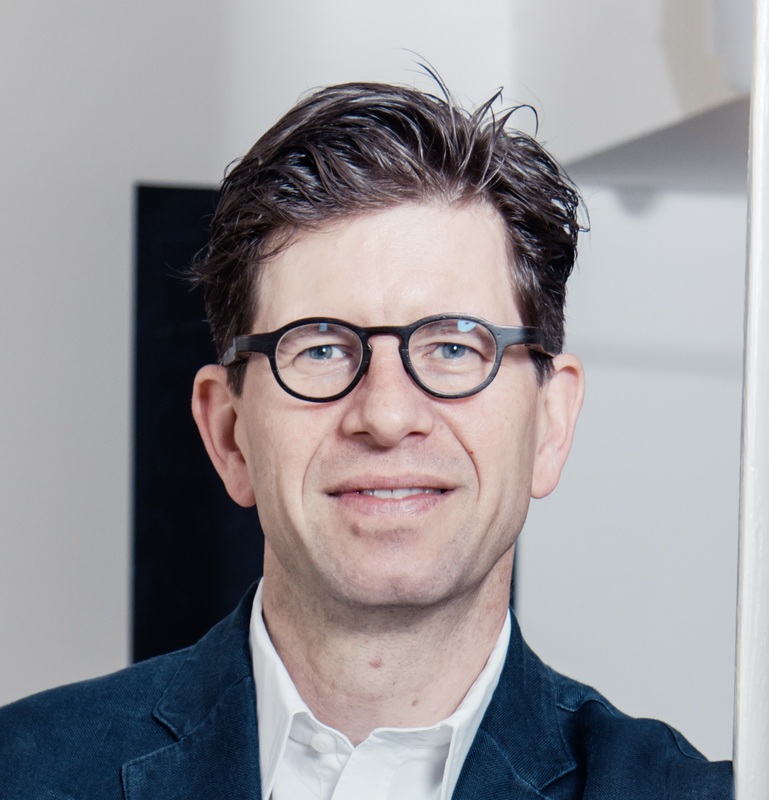 In his function as head of the network of Creative Industries Styria, he also acts as a competence center for design in relation to the Design City of Graz. As an expert in design and creative industries, he is a popular speaker and panelist at numerous international conferences. He was responsible as a successful cultural manager and designer, among others for Graz 2003 - European Capital of Culture Organizations GmbH as managing director and artistic vice-intendant. He is also active as a long-term and experienced lecturer at the University of Applied Sciences Joanneum at the Institute of Design. Bram Senave began his career at On Semiconductor as a product engineer. He subsequently held various account and sales management positions at Alcom & Actility. Where he was driving sales of semiconductors, embedded computing and IoT connectivity solutions. In 2018 he joined easics, a System-on-Chip design services company targeting both ASICs and FPGA, as business Development Manager. His prime focus is to help easics’ customers and partners to integrate the right technology in their embedded systems. An example is the recent developed easics’ IP for Deep learning (AI). Philip Hoyer is a senior technical leader of the Events and Mobility Solutions Segment of HID Global, developing innovative digital RFID and access control solutions to the Events and transport market and helping customers move to digital physical and mobile tickets. He is author of more than 20 patents and represented HID Global on standards bodies such as GlobalPlatform (Strategic Director and Chair of Identity Task Force), Smart Card Alliance, IETF and OATH. He is a recognised subject matter expert on Innovation, RFID, NFC, TSMs, Mobile Security, Identity, Cloud Security and Payment Standards, who regularly speaks at major conferences. Kurt Majcen joined JOANNEUM RESEARCH in 1995, after graduating in information technology from Graz University of Technology. He built up valuable experience with European projects in the cultural heritage area (museums, libraries and archives), e.g. OPAC Network of Europe (ONE), Catalogue Interoperability Protocol (CIP) or Enabling Services with the Joint Research Centre (Centre of Earth Observation) in Ispra (Italy). He also coordinated the European healthcare project NDSNET. Being in charge of the Cultural Heritage & Medical Group he was JOANNEUM RESEARCH team leader in the FP5 archive project LEAF and the FP6 audio-visual archive project PrestoPRIME. After coordinating the renewal activities for the company’s website he led the JOANNEUM RESEARCH team for the European funded FP6 project CLINICIP. Since 2010 Kurt coordinates and participates in Active and Assisted Living (AAL) projects on European level (e.g. ALICE) and on Austrian level (e.g. Learn and Network, Learning4Generations or a study on the potential of AAL solutions for home care). Current projects are RegionAAL – the Styrian AAL test region – and Smart VitAALity (AAL test region in Carinthia). 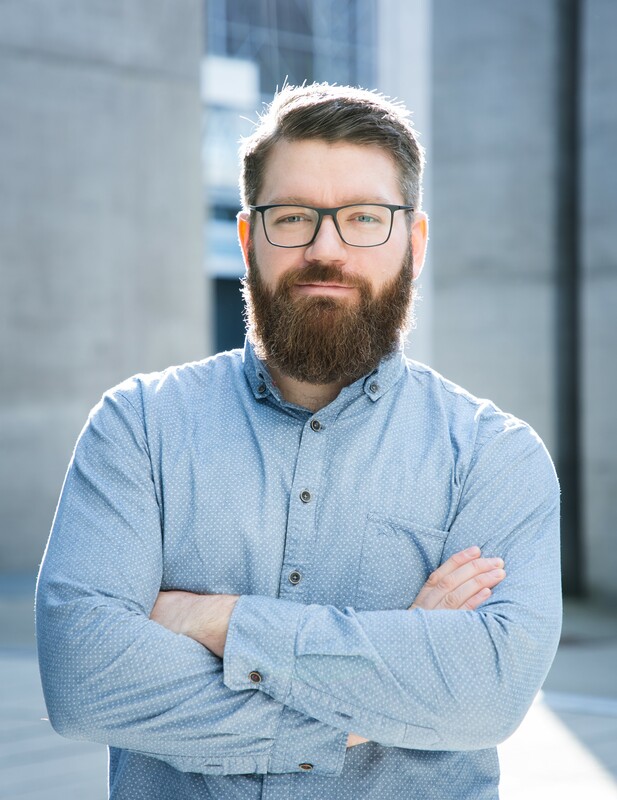 Further he is consulting JOANNEUM RESEARCH in internal information management activities and conducted various studies (feasibility study for a Digital Mediathek, pilot study about converging technologies for internet, TV and mobile devices). Gregor Scheipl studied earth sciences with focus on petrology and geochemistry at the Karl-Franzens University in Graz. He finished his studies with the applied master thesis: "Purification and chemical characterization of organic semiconducting materials" in 2005. Since 2008 he is employed as a permanent scientist at JOANNEUM RESEARCH/Materials. He started his activity in the field of printed ferroelectric sensors (ferroelectric polymers, pyro‐ and piezoelectricity and printing/imprinting techniques) for fabrication and characterization of fully printed devices. In the course of time, those printed sensors became the PyzoFlex® technology, which was co-developed by Gregor. Due to the exceptionally high potential and maturity of this technology, Gregor's focus has shifted to business development and marketing over the last years in order to successfully commercialize this novel and highly innovative technology. In the field of printed sensor technologies, Gregor has organized numerous participations in exhibitions and gives lectures on this topic at international events. 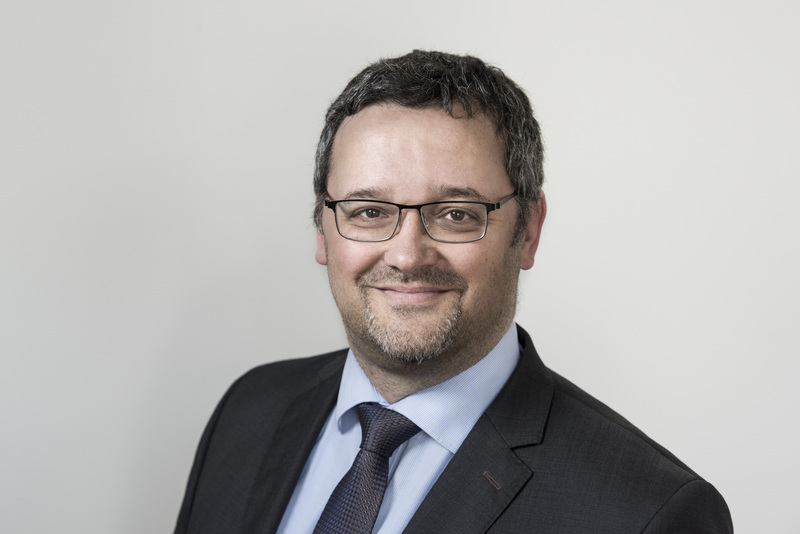 Benjamin Roussel, PharmD is Director, Life Sciences and Healthcare at Yole Développement (Yole), part of Yole Group of Companies. By supporting industrial companies and R&D institutes in their development, Benjamin and his team are creating the bridge between innovative microtechnologies and numerous diagnostic, pharmaceutical, life science and medical device applications. 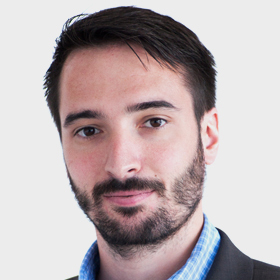 Benjamin Roussel is the author of a large collection of market & technology reports focusing on bioMEMS, microfluidics and solid state medical imaging, and performs multiple custom consulting projects. Thanks to his deep knowledge of these industries and related technologies, he has spoken in more than 20 industry conferences worldwide over the last 5 years. 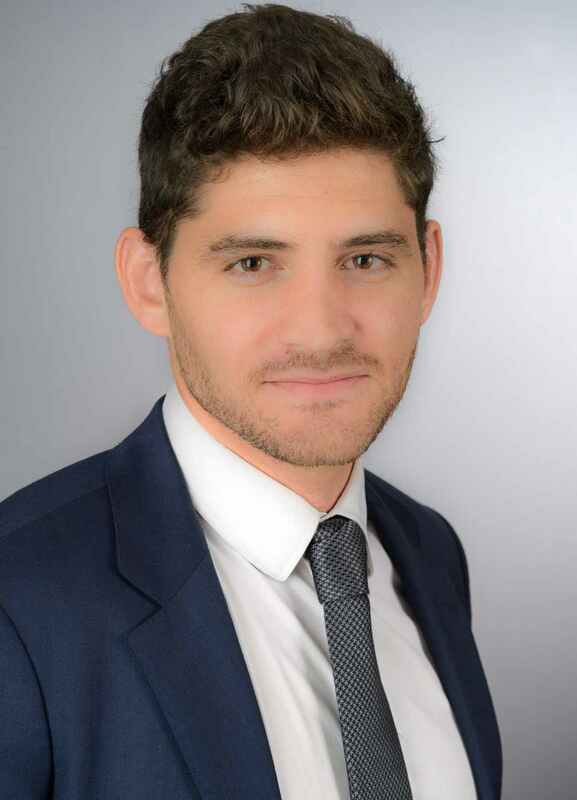 Before joining Yole, Benjamin worked in an International Pharmaceutical company in the pharmacovigilance department. He holds a Pharmacy diploma from the University Claude Bernard Lyon (France), in addition to a master’s degree in Technology & Innovation Management from EM Lyon Business School (France). 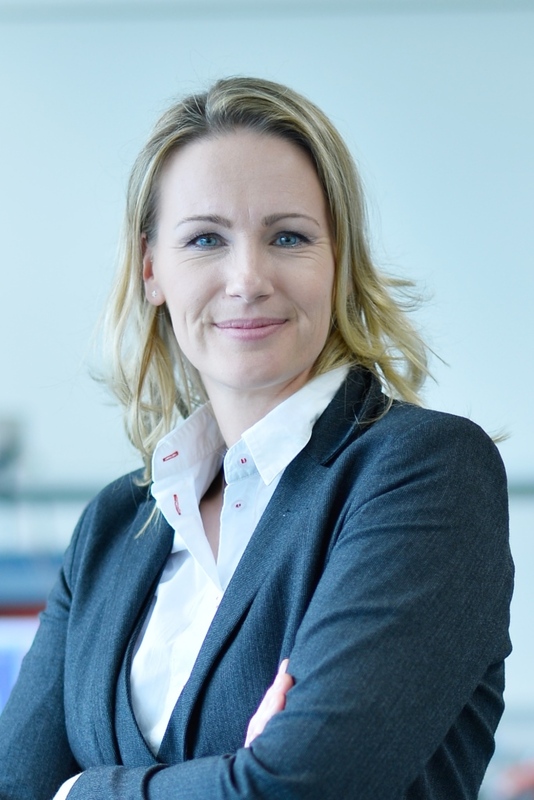 Christin Eisenschmid is vice president and Managing Director of Intel Germany GmbH. 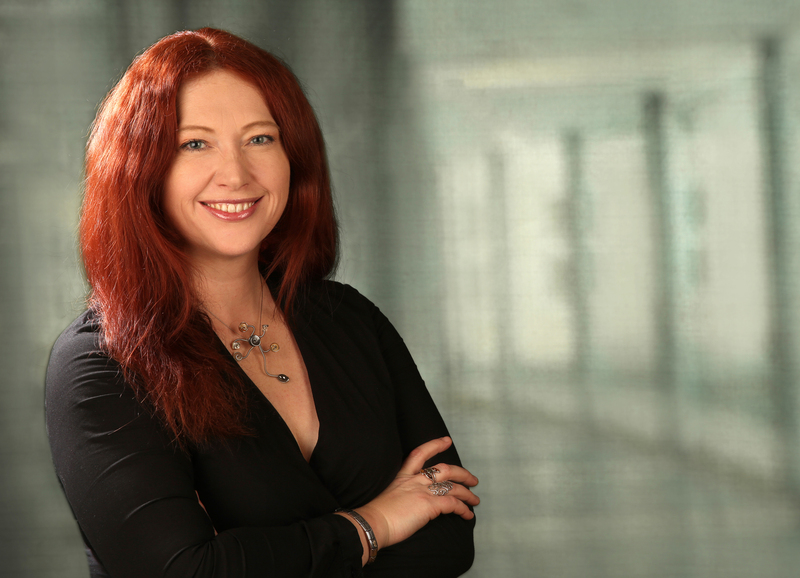 She is responsible for establishing an operational framework that aligns the strategies of Intel’s business groups with Intel Germany strategy, with the goal of stimulating growth in site value and increasing its relevance to Intel’s overall business strategy. Based in Munich, Eisenschmid joined Intel in 2011 with the acquisition of Infineon Technologies’ wireless solutions business. Early on, she served as controller and senior director of finance for the Mobile and Communications Group and as managing director of Intel Mobile Communications Ltd. Her responsibilities included leading the transition of the business to Intel processes and systems, as well as the integration of support functions in Intel’s corporate organization. Before joining Intel, Eisenschmid was vice president of finance and chief financial officer of the Wireless Solutions Group at Infineon Technologies AG. Earlier in her career, she was vice president of finance for Infineon’s global sales organization and director of Infineon’s supply chain. 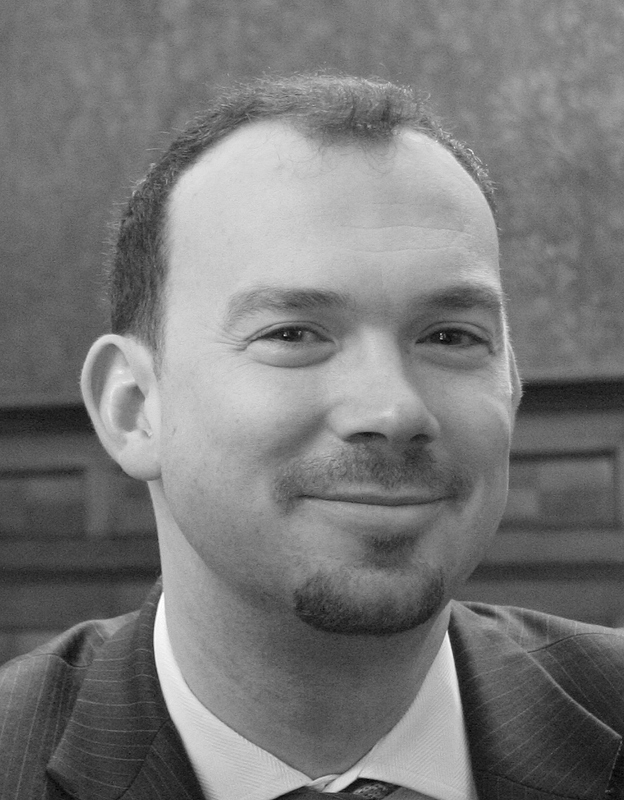 Eisenschmid holds a master’s degree in economics from the University of Augsburg in Germany. 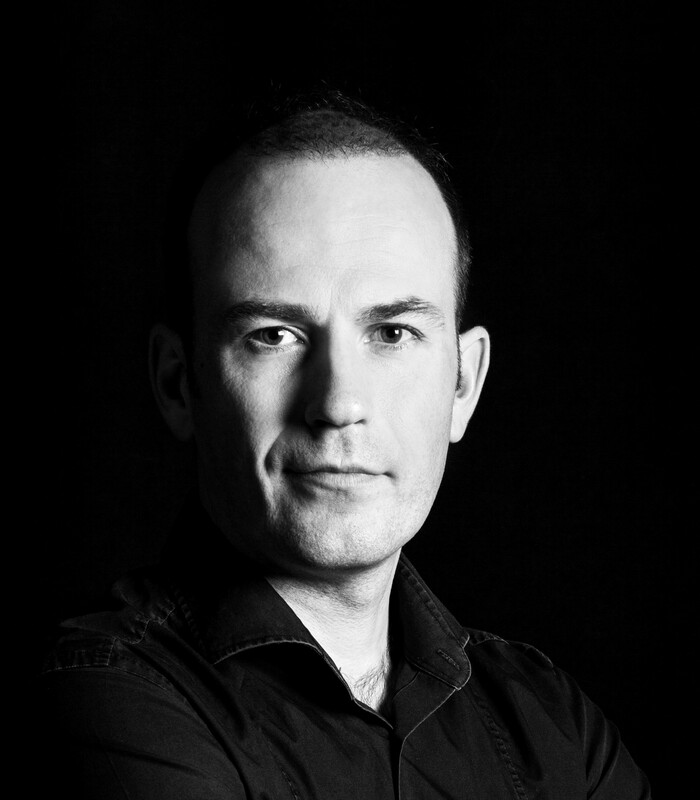 Jan Calliauw is senior business developer for medical solutions at Verhaert and holds a master degree in economics. His main fields of expertise are managing breakthrough R&D, knowledge management, mobile medical apps and Medtech. 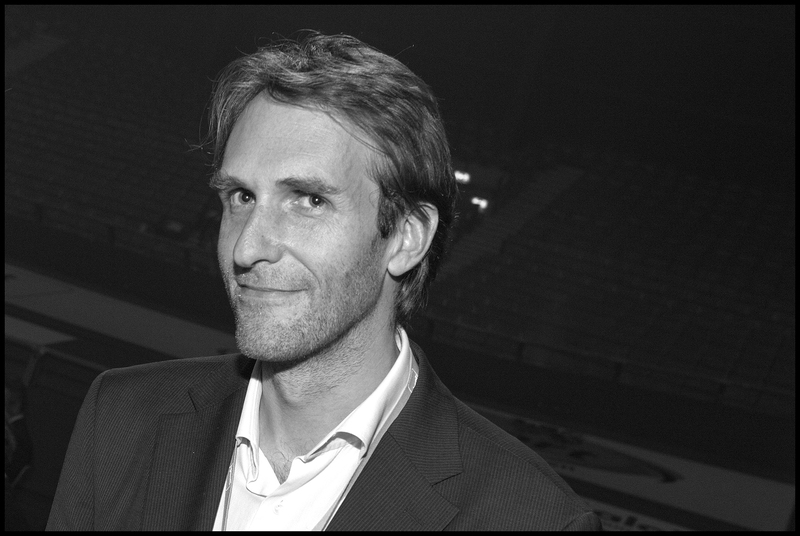 Before joining Verhaert in 2015, he held marketing and sales related positions in several companies. As a strong believer in the value of education and training he was co-founder of the non profit Ekisande (ekisande.com) for schooling, vocational training & healthcare in Uganda. Horst Exenberger, as CEO of DERWID, is responsible for the company's business development: he follows national and international partnerships and coordinates strategic product management activities in the fields of business integration, in particular EDI, photographic and 3D product configuration and variant management solutions. His passion about IT and the early experiences in this field led him to found in 2001 DERWID: a multicultural IT company with a strong focus on customer care and based on innovative research and collaborative thinking. For 18 years he has been working closely to companies of different sizes and sectors, principally in Europe, as partner, supplier and consultant for Industry 4.0. He likes hiking and chocolate. 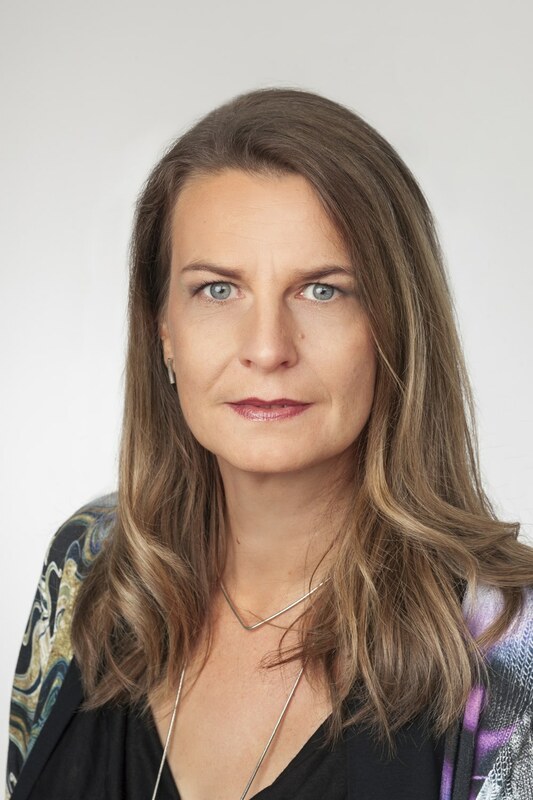 Dr. Barbara Flügge is founder and managing director of digital value creators (DVC) Switzerland, a boutique advisory that dedicates its efforts in creating value and turning digitization into an asset for organizations of any size and industry. Its program consists of Prepare and Perform transformation, Diversify and Multiply solution sales and transformation in ecosystems and entire business as well as Tools and Transfer program offerings for teams, startups, and individuals. DVC is built on her 20+ years legacy in solution design, development and consulting engagements on local international scale for startups, SMEs and global players. Already during her studies Barbara worked for several organizations such as Grundig and Siemens. 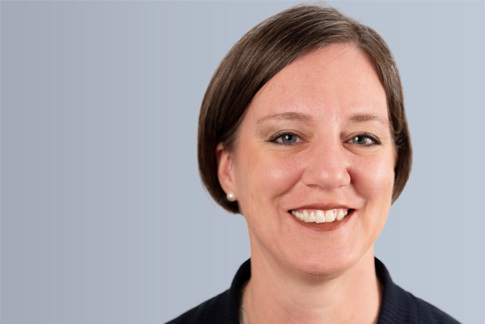 After years in international environments for Grundig Spain, ConMoto Germany, PriceWaterhouse USA and Arthur Andersen Europe, Barbara turned her focus on eCommerce and digital networks when joining the consulting management team of Ariba Europe. 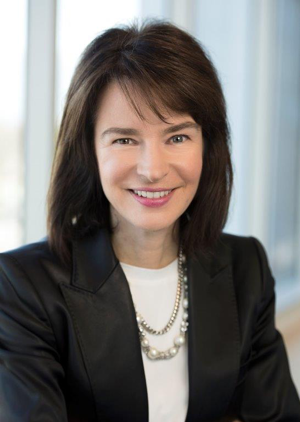 Her management approach and thought leadership at SAP has been influential for SAP’s Consulting, Product Development. Research and Innovation covering collaborative enterprise application design, Smart Logistics, Smart Mobility, IoT, Smart Cities and Regions. Barbara holds a master’s degree in Applied Sciences with Otto-Friedrich-University Bamberg. She obtained her PhD. at Tilburg University, NL. 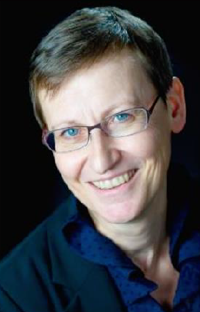 Barbara is a recognized author and speaker and editor of the Smart Mobility book series in collaboration with Springer. 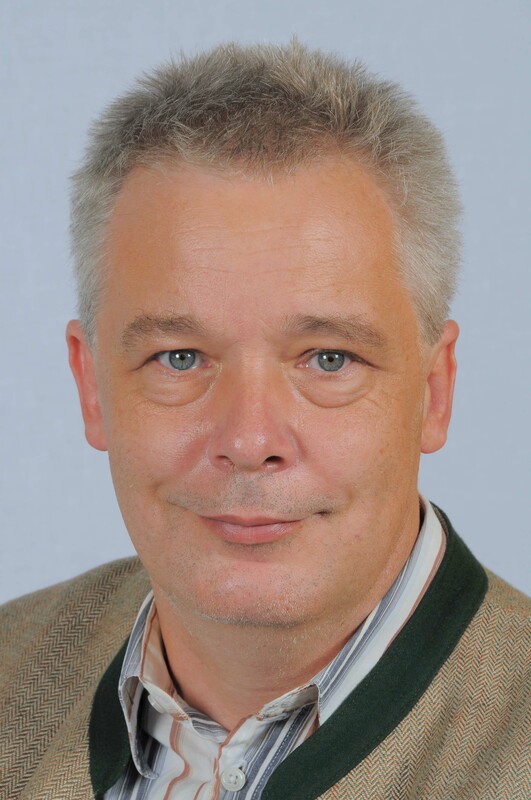 Dr. Markus PISTAUER (Member IEEE) holds a Master degree in Electrical and Electronic Engineering (1991) and a Ph.D. degree in Electronic and Control Engineering (1995), both from Graz University of Technology, Austria. From 1995 to 1999 he worked at Siemens AG (Semiconductor Division, now Infineon Technologies) and also as Professor at University of Applied Sciences, Carinthia. He has founded CISC Semiconductor in 1999 where he acts as CEO and in 2012 CISC Semiconductor Corp. in Mountain View, CA, USA (www.cisc-semiconductor.com). 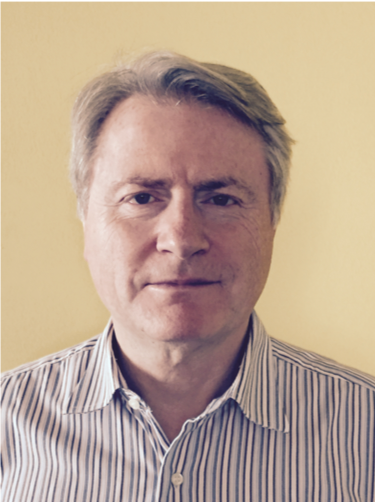 He is CEO of two other companies in EU and US and member of several technical advisory groups in the area of IoT. As technical expert he acts since 2006 as evaluator and reviewer for former FP7 and now H2020 projects. He gathered significant experience within a couple of national and international collaborative research projects over the past 25 years. He is author and co-author of more than 70 papers published and holds several patents in the area of microelectronics and electronic based systems. Isabelle François is a bio-engineer with a passion for health and health care and a sweet spot for science. 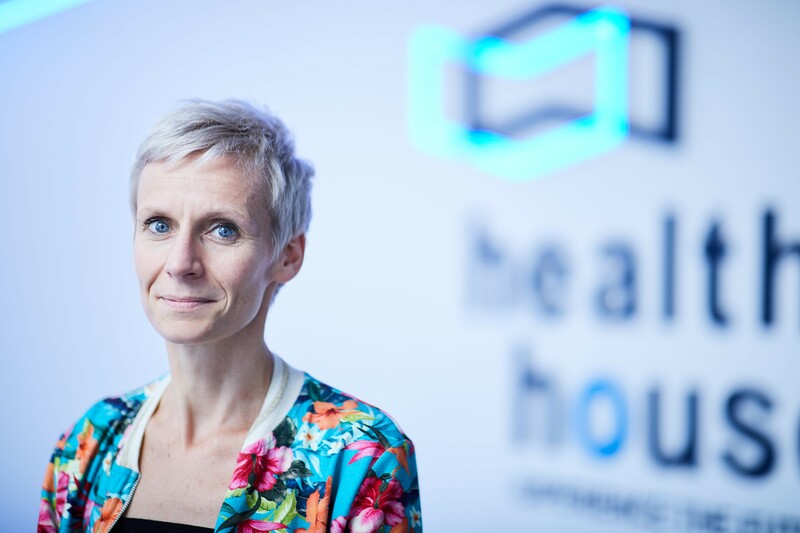 By joining Health House as Managing Director in 2018, she combines these two passions and, as a nice bonus for an engineer, deals on a daily basis with future technological innovations. Before joining Health House, Isabelle was an Intellectual Property Officer at KU Leuven Research and Development. 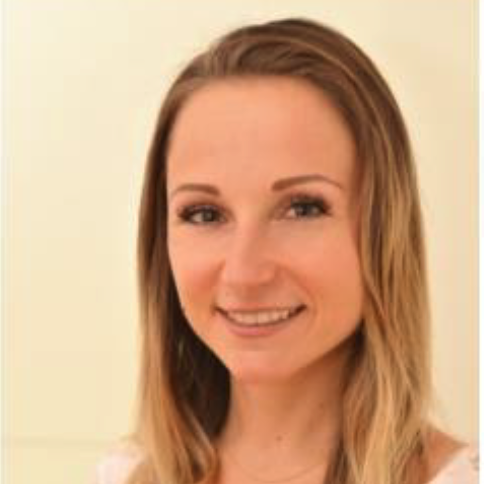 Previously, Isabelle was Clinical Research Coordinator at Fugeia NV, an innovation-driven company active in the field of health and nutrition with a focus on digestive health. Before joining Fugeia, Isabelle was postdoctoral researcher at KU Leuven unraveling the mode of action of antifungal compounds. Isabelle studied Bioscience Engineering and obtained her PhD in Applied Biological Sciences in 2001. 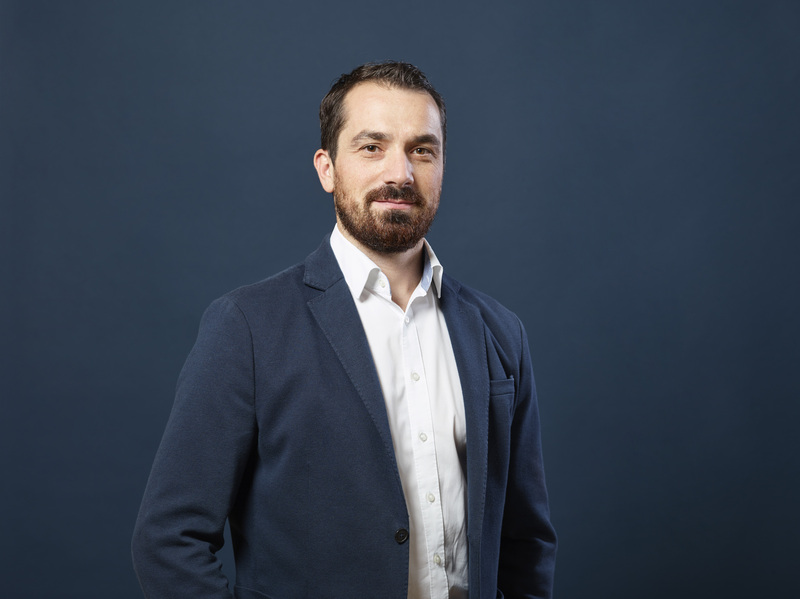 After a management controller experience in an industrial environment, driven by his entrepreneurial soul, Denis quickly refocused on supporting start-ups & medium-sized companies. This has allowed him to extend his skills to the aspects related to human resources and legal issues, while having an operational implication. A musician and a photographer, curious and self-assumed geek, he is fully convinced of the foremost role of cultural products in the economic development, if only due to digital transformation Denis’s Linkedin. Sebastian Lassacher was involved right from the start when, seven years ago, his fellow students wanted to develop an intelligent and easy-to-use energy management system. 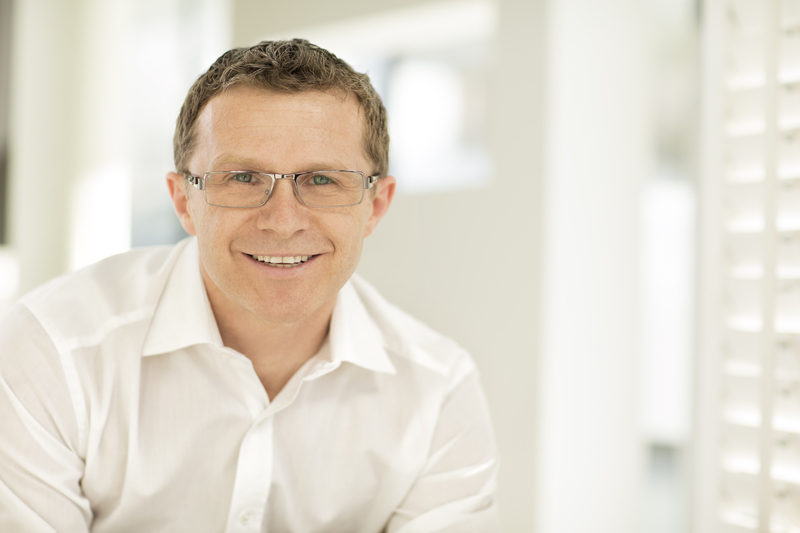 That’s why in 2014 he co-founded the start-up LEVION Technologies, headquartered in Graz. 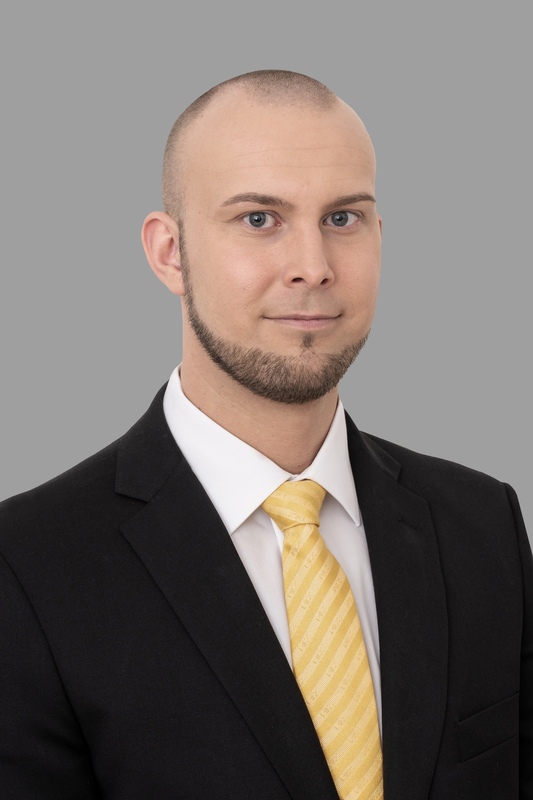 As Head of Development, he has since breathed life into the unique and innovative Smart Energy Management System (short: SEMS, www.sems.energy) and supplied customers all over Austria with constantly new features. He began his career as a software developer and database engineer in web applications, oversaw several IT infrastructures as administrator and created sensor networks for highway operators. Thanks to his degree in Information and Computer Engineering, he is considered a specialist in the subjects computer and sensor networks, distributed systems and data acquisition. 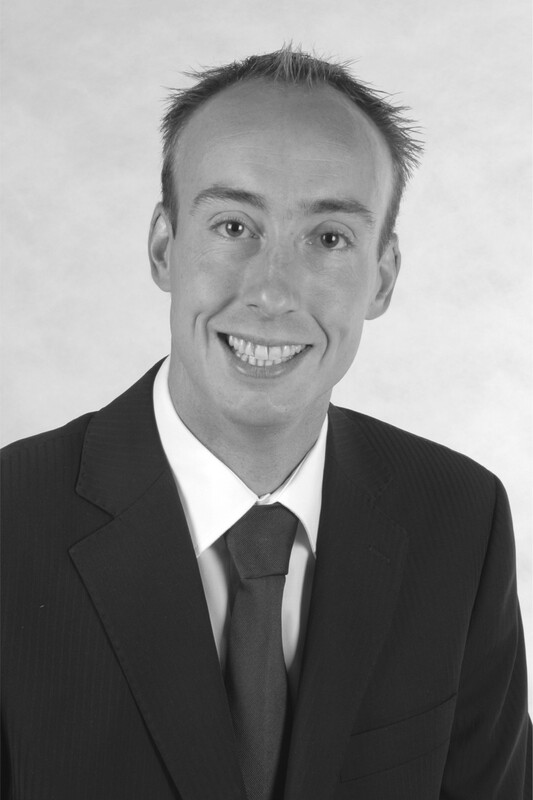 Christoph Schaller has 15 years of experience in manufacturing and logistics. He has been working for Flex since 2008 and has gained experience in various areas. In addition to continuous improvement, value stream management, technology and innovation, he extensively worked on an automation project in China. Since 2014 he has concentrated entirely on the areas of industrialization, testing, technology & automation and was able to set I4.0 standards in the company. Starting from 2018 he has been in charge for all automotive and medical locations in the European Leadership Team. Yongli Wang has been with the TDK Electronics GmbH & Co OG since 2008. He is co-project manager for CeraCharge™, where his focus is on material and process development. In 2003 Yongli Wang graduated from Tsinghua University in China with a PHD in materials science and engineering, and continued his research on electronic ceramics in EPFL (Swiss Federal Institute of Technology Lausanne) as a postdoc till 2007. 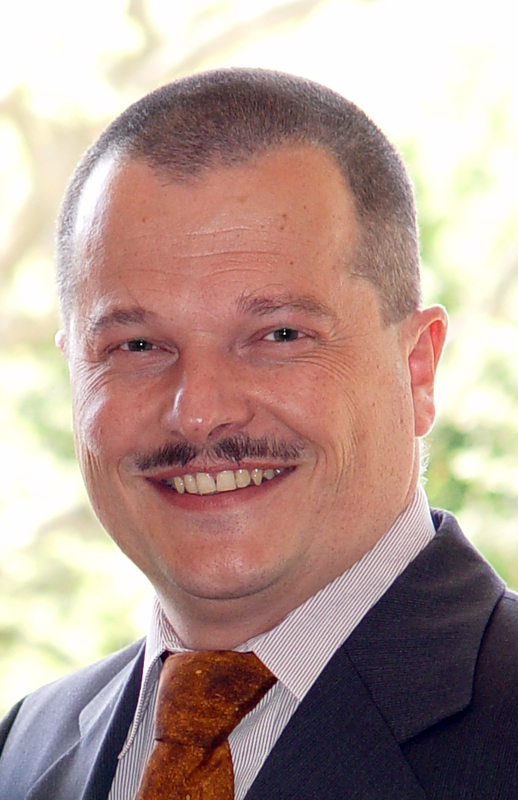 Andreas Pentscher-Stani has been with the TDK Electronics GmbH & Co OG since 2003. He is head of pre-development in the Piezo business unit, where his focus is on Piezo-ceramic based product development. In 2003 Andreas Pentscher-Stani graduated from Technical University Graz in Austria with a PHD in chemical engineering. Michael Kerschbaumer studied economics and adult education at the University of Graz, the National University of Ireland and the Universidad de Malaga. He started his professional career as a trainer and workshop facilitator in youth work and labour market projects, before he joined an IT Start-up. After that, he worked as innovation manager in Austria’s biggest private training provider. 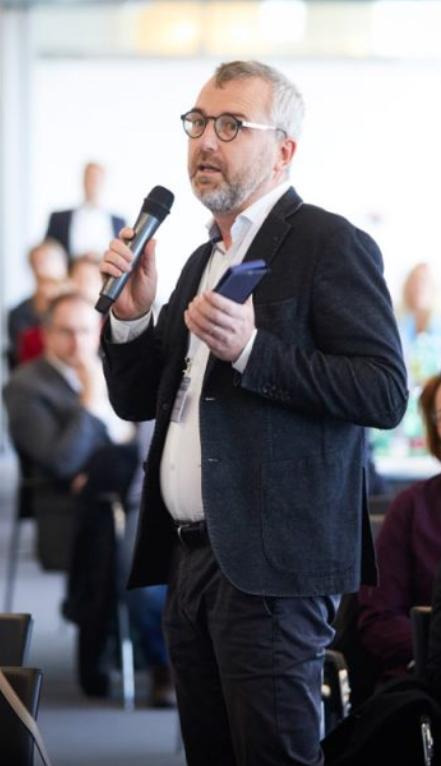 In 2005 he joined the Styrian Business Promotion Agency SFG, where in 2008 he gained responsibility for the SFG’s innovation department with the main focus on building up the Enterprise Europe Network (EEN) and the regional contact point for EU Framework program. Besides working for the EEN, co-chairing the Networks Thematic Group on European Research and the Sector Group Intelligent energy, he still acts as regional contact point for the EU Framework and is responsible for two regional innovation-funding programs. 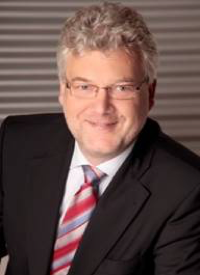 Manfred Pferzinger is Deputy Chair of the Academic Board and Programme Director for Business Administration for the Public Health Sector as well as Management of Health Institutions at the IMC University of Applied Sciences in Krems (Austria). Furthermore he is Research Associate at The Health and Life Science University (UMIT) in Hall in Tyrol (Austria) at the Institute for Management and Economy in Health Care (IMÖG). Prior to that Manfred studied economic sciences at the University of Applied Sciences in Upper Austria at the School of Management, at the University of Skövde (Sweden) at the Institutes for Health Science, Economics and Business Administration. Over the last years he has intensified his scientific activities due to the human-centered innovation in healthcare and the future of health in general by using the method of Design Thinking. 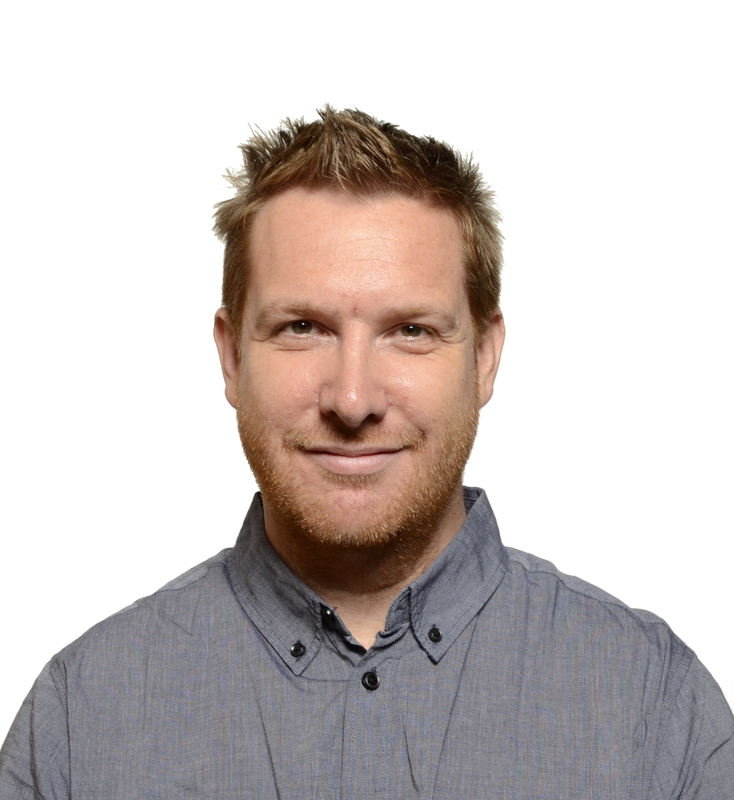 As an entrepreneur and founder he has more than ten years of industry experience. Prior to that, he gained experience in other areas, such as food production, optics and hearing aid acustics. Peter Gasteiner joined SteadySense as COO and co-owner in 2017. 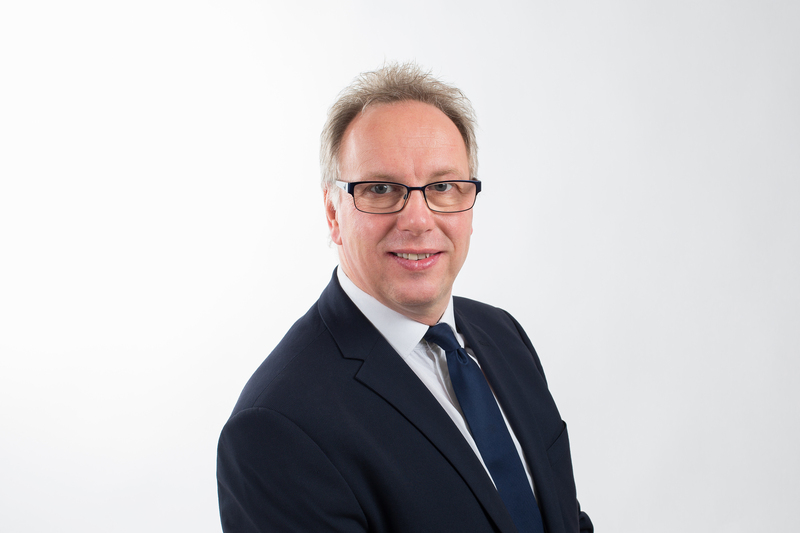 Peter brings in over 25 years of experience in the Semiconductor Industry where he held various executive positions in Sales, Marketing and General Management in start-up as well as large public listed companies. Beside Automotive and Industrial markets he has especially also experience in Medical Applications. 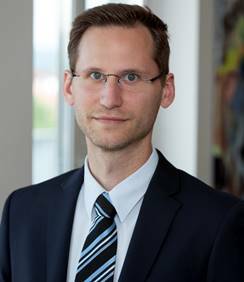 Since 2011 he is head of department research and development of the Haas Group (Falkenberg, Germany) with sister-companies in Austria and Czech Republic. Fields of RaD are starting from timber building products above construction systems from statics to building physics like prefabricated houses or 3D-moduli till development of new services for users of the buildings. He is responsible for RaD-projects within the company but also cooperation-projects with universities and other research institutes. From 2002 to 2011 he was part of the new established institute of timber engineering and wood technology at the Graz University of Technology as research assistant. In this time the excellence in timber engineering grew to one of the most respectedwithin the global community. Based on review-work with the topic residential building, TUG together with industry founded together the holz.bau forschungs gmbh. there main goals of massive timber construction with cross laminated timber have been developed but also in the fields of connection technique and process-monitoring. This professional work is based on diploma studies in civil engineering (Graz University of Technology). In addition he works within the Austrian, German and European standardization-process and is part of the education-board of carpenters’ master exam. 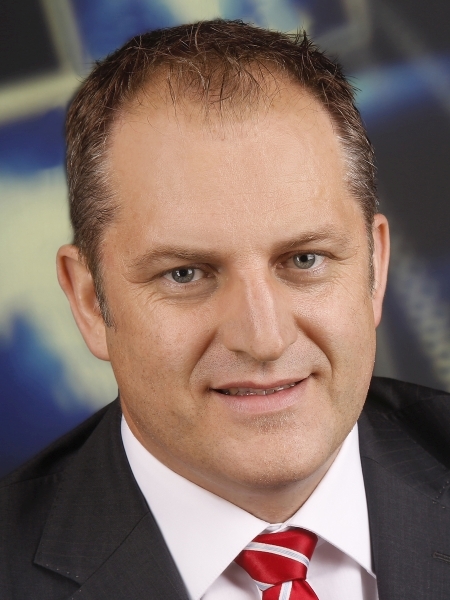 Robert Jankovics holds a Master’s degree in Industrial Engineering for Information Technology. While holding classes on different Austrian universities, he focused his work on different aspects of cyber security. 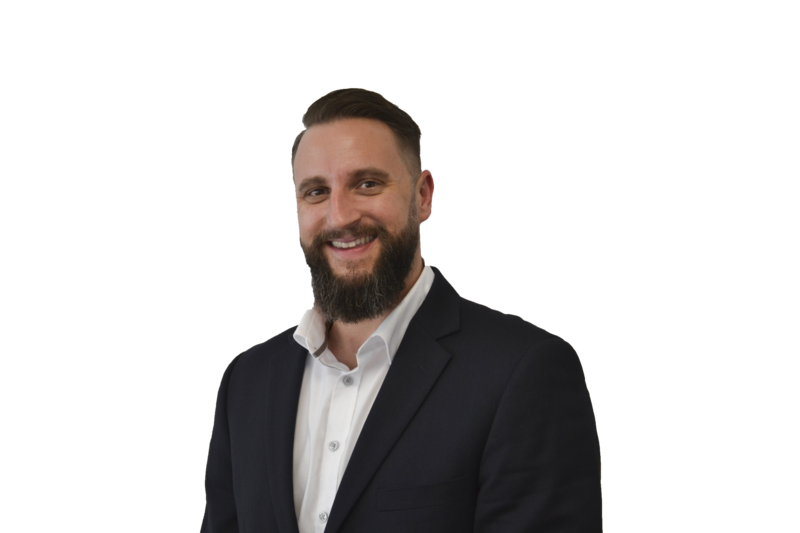 Since the beginning of 2012, Robert Jankovics manages the Kapsch Information Security Audit & Assessment Team, with which he is engaged in many customer projects to increase their cyber security resilience. Within the Kapsch Security Team, our joint vision is to evolve digitization to an information driven - human centric – age, in a secure manner. We strive to keep solutions smart but secure at the same time. This will be a joint challenge, especially when it comes to highly private data like health data. Robert Jankovics will give insights into ongoing legislative regulations (like EU NIS Directive) and other standards (like ISO 80000, ISO 27799) which among others wants Health Care Providers to operate an ISMS and security operations center. Martin Reiner, Mag. (FH) is Head of Operations and authorized officer at Flex in Althofen. Flex is a worldwide Sketch-to-Scale solutions provider that designs and builds Intelligent Products for a Connected World and has its European Product Innovation Center in the south of Austria. 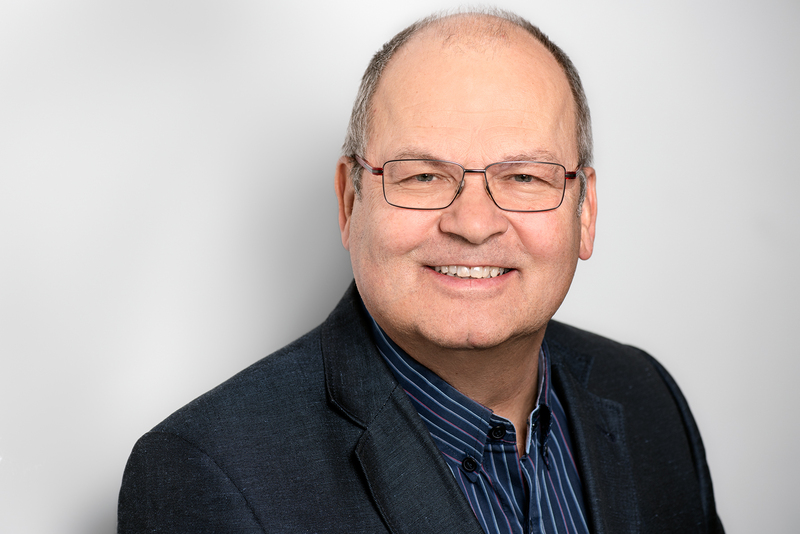 After his studies for Corporate Governance at the FH Krems/Danube Mr. Reiner started his career as Lean/SixSigma Black Belt and was addicted to Innovation and continuous improvement from the very beginning. After leading Production and Supply Chain as Value Stream Manager Mr. Reiner extended his responsibilities to the entire Operations and is now heading the areas of Production, Supply Chain, Total Quality Management, IT/IS and Business Excellence including strategy deployment. 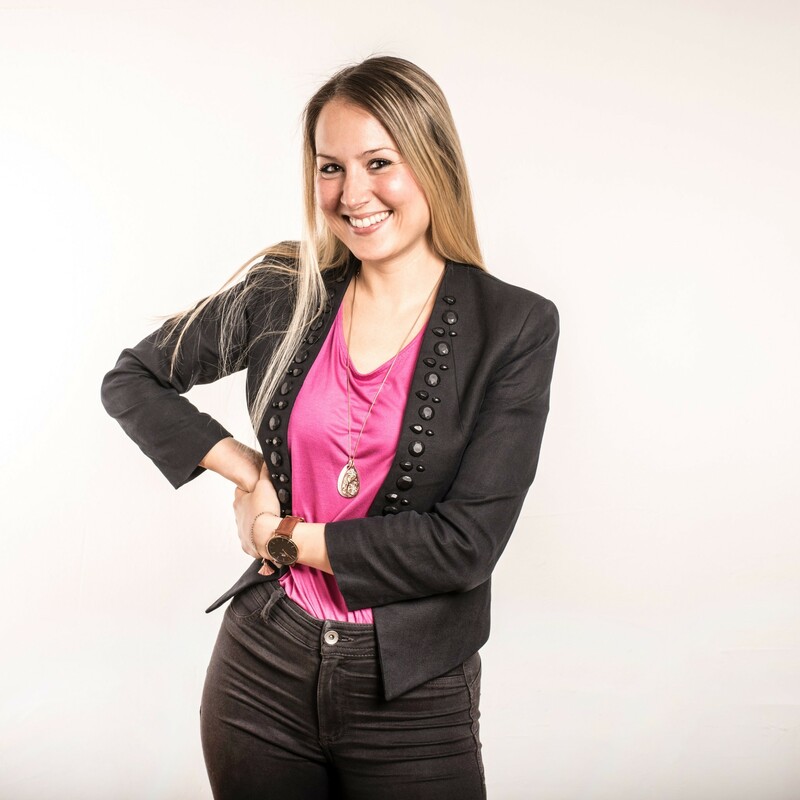 Since 2013 she is head of business development at the institute DIGITAL of JOANNEUM RESEARCH (Graz, Austria). She supports the institute's research groups in business development, marketing, PR and sales of their innovative (future) products and services and designs the customer relationship management. Since 2011, she also coordinates the activities of the institute in the field of Digital Health & Care (formerly Active and Assisted Living). From 1999 to 2013, she led the Intelligent Acoustic Solutions team at the institute and, with her acquisitions and project management, contributed to the success of this growing field of activity, which, with its many industry-related projects, is a good example of actively implementing business and market orientation in applied research. This professional work is based on diploma studies in electrical engineering (Graz University of Technology) and a Professional MBA in Entrepreneurship & Innovation (WU Executive Academy). In addition to this full-time job, she is working as a lecturer for innovation and technology in healthcare at the IMC FH Krems (Austria) in the master programs "Applied Health Sciences" and "Management of Health Institutions". From 1999 to 2014 she held several teaching assignments in the field of acoustics and audio engineering at Graz University of Technology and supervised numerous academic theses. From 2014 to 2018 he was the head of the research group “Light and optical Technologies” at the institute MATERIALS of JOANNEUM RESEARCH, which is located in Weiz, Austria. The main topics of this group are the light management of solid-state lighting sources and PV modules as well as micro- and nanofabrication using ultra-short laser pulses. In 2018, he retired from his position and started to set-up a new research group of the institute MATERIALS, “Smart Connected Lighting”, which is located in Pinkafeld, Austria. On base of the three areas “Smart electronic based system”, “Human centric lighting” and “Systems of systems: communication and connectivity”, the new research group works on smart lighting solutions in an IOT environment for smart homes and buildings, smart cities, smart farming, smart production and ambient assisted living. Franz Weghofer has been with Magna Steyr for 25 years (formerly Steyr Daimler Puch). Initially he headed the IT - systems and - processes team in the Business Unit J for the vehicle projects Jeep Cherokee, Minivan, Chrysler C300 and Mercedes M-class and Peugeot RCZ, before he took over the management of the Digital Factory Magna Steyr. He is currently leading the »Smart Factory« project. He benefits from his many years of manufacturing experience and his mechanical engineering and IT - background. 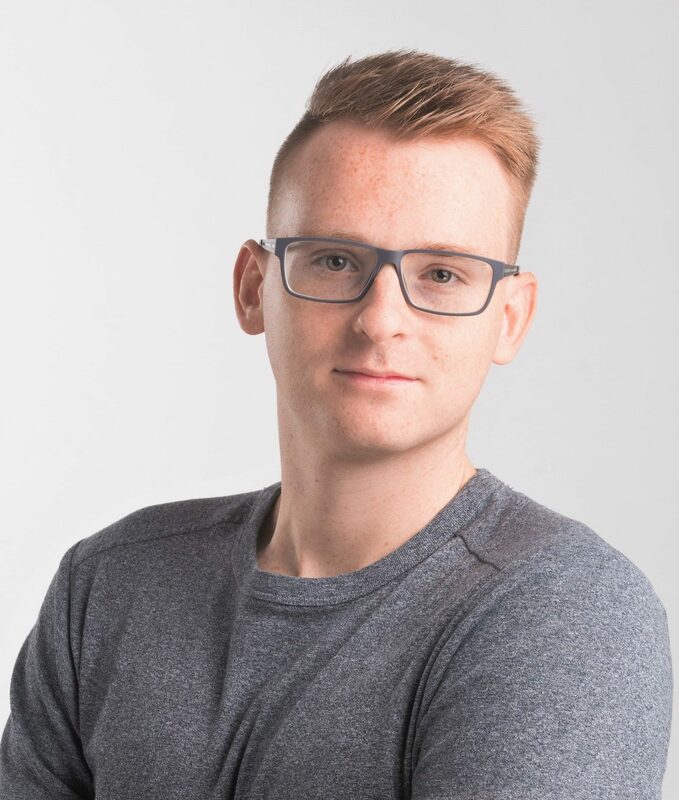 Thomas Zeinzinger is a board member of the blockchain incubator lab10 collective eGand founder of the BlockchainHub Graz. His self-chosen job title "Talkative Doer" refers to his passions: Inspiring people for the potential of Blockchain and related technologies like Digital Identity, developing visions for a better world and implementing them right away. In the lab10 collectiveproject ARTIS, he is managing the development of a sustainable, scalable and secure blockchain network in the Ethereum ecosystem, that offers a potent environment for decentralized applications. 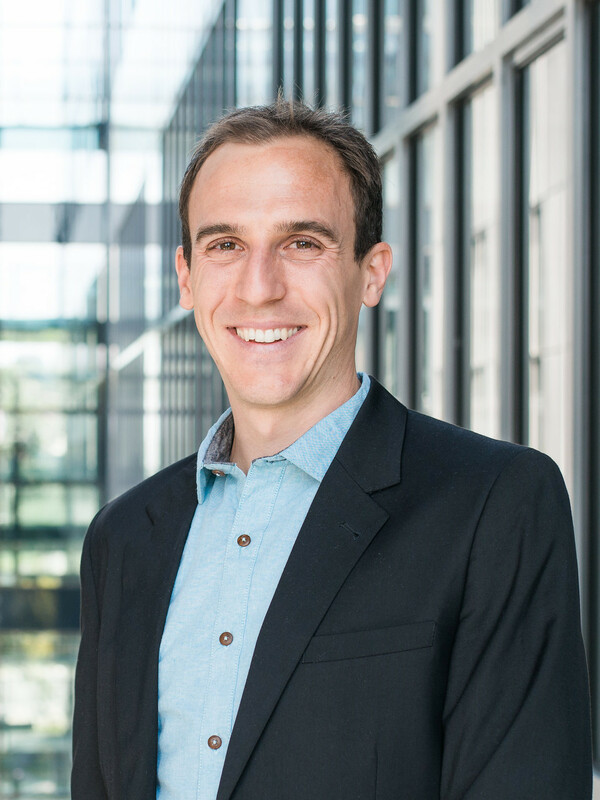 Markus Raunig is the managing director of AustrianStartups – a non-profit think tank that promotes innovative entrepreneurship in Austria. He co-authored Austria’s largest startup study and currently manages a distributed team of more than 50 startup enthusiasts all over the country. 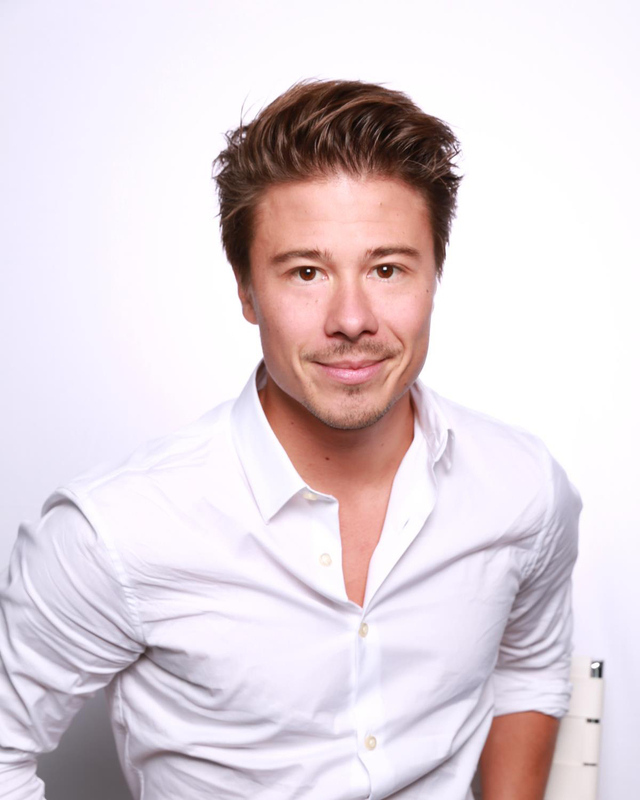 Before taking over at AustrianStartups in January 2017, Markus founded his own startup sponsor.bar, organized Europe’s largest student startup conference Entrepreneurship Avenue and worked closely with several successful international startups while managing the Pioneers Challenge. 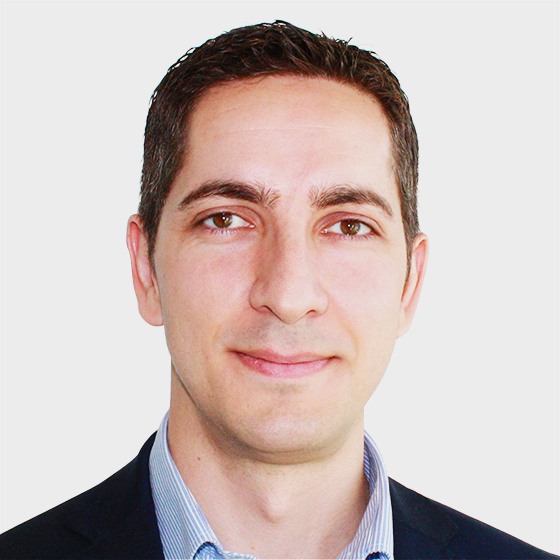 Tuccio Loria joined Analog Devices in 2015 as Corporate Account Manager for distribution sales. 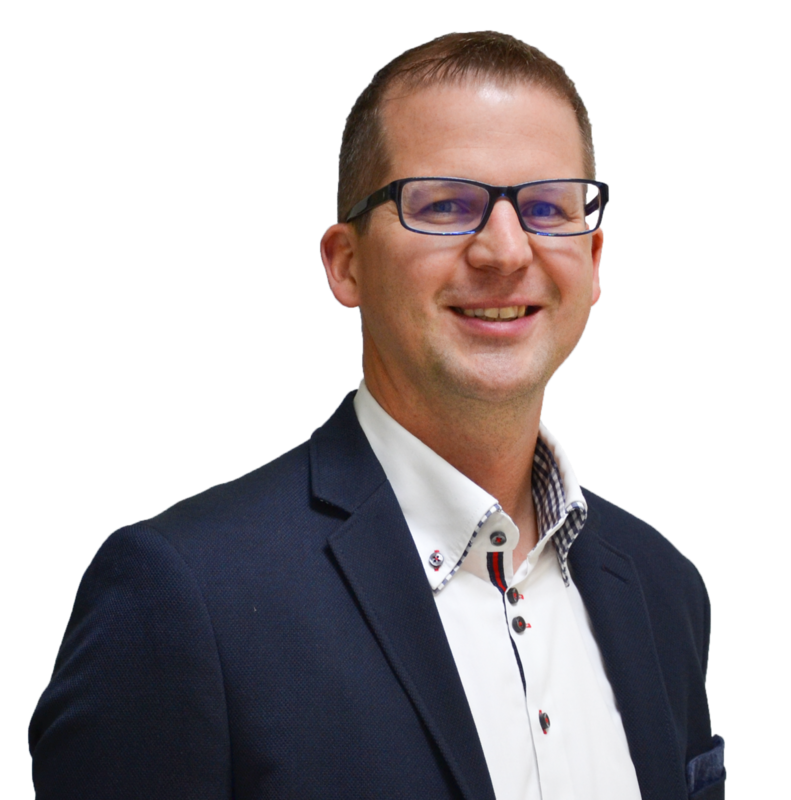 Since 2017 he serves as Senior Sales Manager - EMEA Smart City and is responsible for developing the company's smart city business in the EMEA region. Having worked in the semiconductor industry for 33 years, Tuccio brings a wealth of industry experience and knowledge to his role. As cities grow in complexity, there has been a search for technologies, smart design and new business models to enable continued growth in a more sustainable manner – looking to avoid dystopian futures and build places that are good to live in. Analog Devices is well prepared for these challenges with its comprehensive know-how, expertise and network. 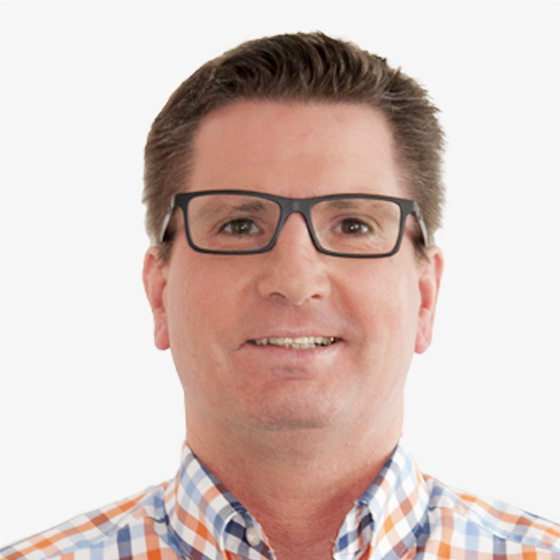 Christian Krenn is responsible for Business Development and Technology Management at DCCS. Christian studied telematics at Graz University of Technology and has advised many national and international customers on software projects during his 20-year career, accompanied them as project managers and also developed software himself. In recent years, Christian has been able to assist numerous customers with the introduction of modern analytics, communication and collaboration solutions. If you study an educational cocktail of communication engineering, linguistics and innovation management you will most likely end up working in software engineering. Combine this with great enthusiasm for creativity and structure and you will certainly end up becoming an entrepreneur. In the case of Axtesys, the result is a company that stands for the pleasure of working together, software that sparks joy and digital innovation that delights people and aims to make the world a better place. Sandra Slavinec studied at CAMPUS 02 University of Applied Sciences, where she still works as a part time lecturer in the degree program automation technology. She gained work experience in the planning of intralogistics systems and the introduction of new technologies like RFID. After successfully managing the ramp up of the just-in-sequence production delivery of luxury car parts, responsible for 150 employees, she focused on her own company charismaTec OG, developing and building highly automated mechatronic systems to meet the individual requirements for smart manufacturing, optimization and product development for customers from different industries. 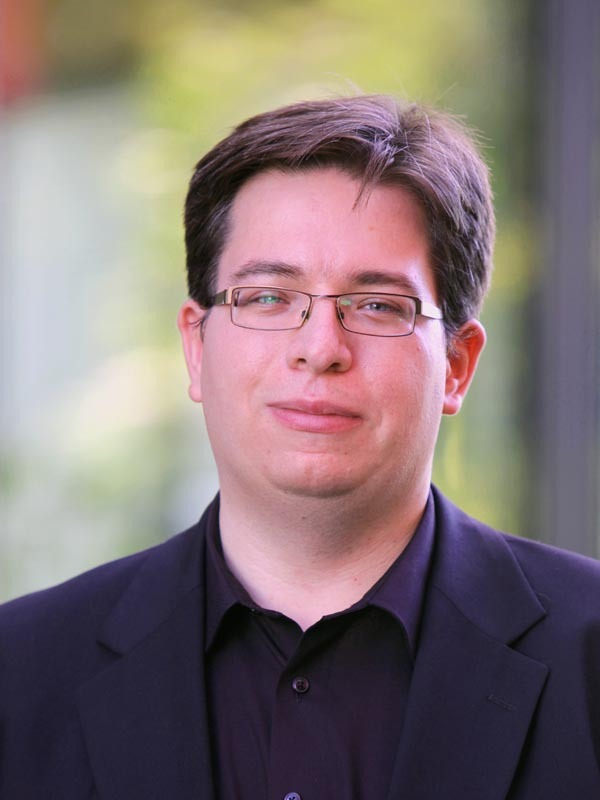 Dr. Michael Karner is lead researcher for Embedded Systems at VIRTUAL VEHICLE in Graz, Austria. 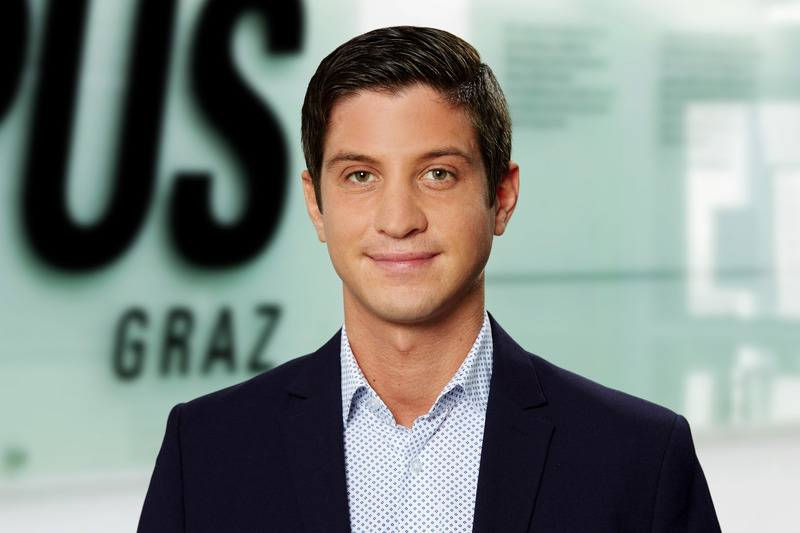 He received a master’s (Information and Computer Engineering) and doctoral degree (Electrical Engineering) from Graz University of Technology. 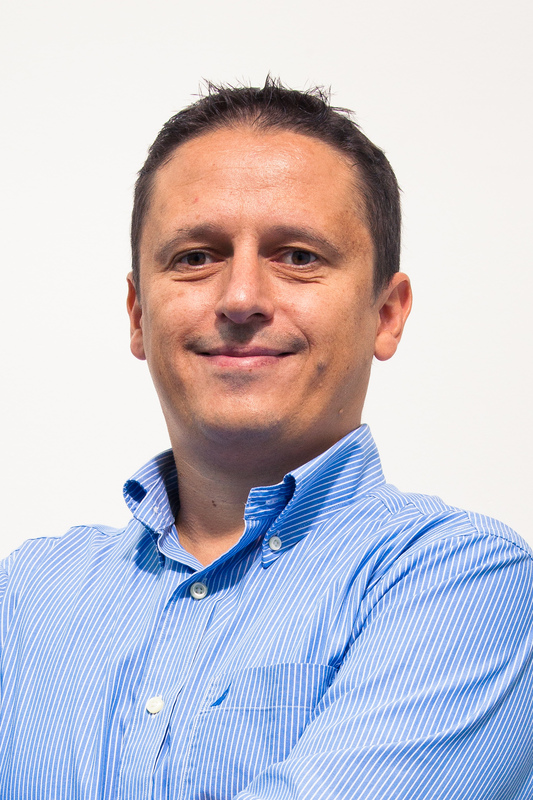 He has more than ten years industrial and scientific research experience in the field of wireless systems, communication networks and protocols, automated driving, automotive electrics/electronics and software, as well as co-simulation. 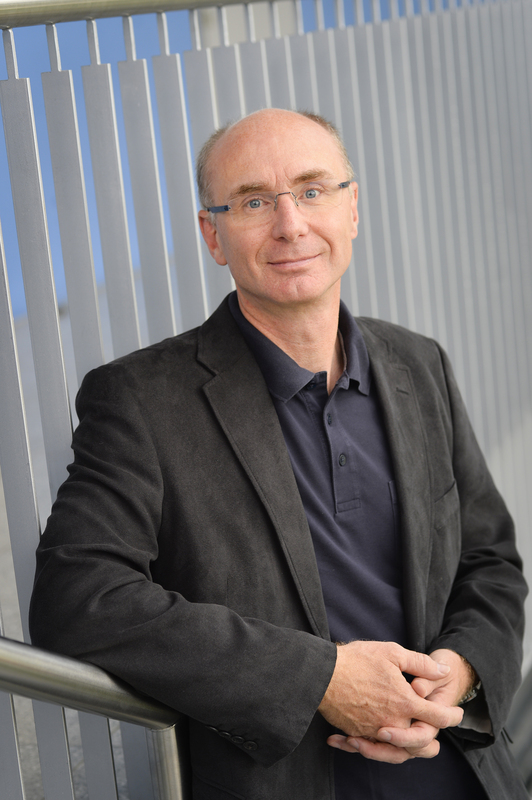 Univ.-Prof. Dr. Hubert Zangl is a full professor chairing Sensors and Actuators at Universitaet Klagenfurt. His research interests focus on sensor design and optimization, robustness and reliability of sensors and actuators, sensor signal processing, autarkic wireless transducers and energy harvesting with applications in robotics and industrial IoT. The track record includes pioneering work such as the first wireless large area condition monitoring system for overhead powerlines utilizing electrostatic energy harvesting, wireless RFID based sensors fully encapsulated within metal and the first demonstration of human/robot interaction using real time Electrical Capacitance Tomography (ECT). He has authored or co-authored more than 200 international scientific papers in the fields of his research and holds more then ten patents. Jasmin Grosinger received the Dipl.-Ing. (M.Sc.) degree (Hons.) in telecommunications and Dr.techn. (Ph.D.) degree (Hons.) from the Vienna University of Technology, Vienna, Austria, in 2008 and 2012, respectively. From 2008 to 2013, she was a Project Assistant with the Institute of Telecommunications, Vienna University of Technology, where she was involved in various projects dealing with RFID technologies. In 2011, she was a Laboratory Associate with Disney Research, Pittsburgh, PA, USA, where she was involved in a backscatter RFID sensor project. 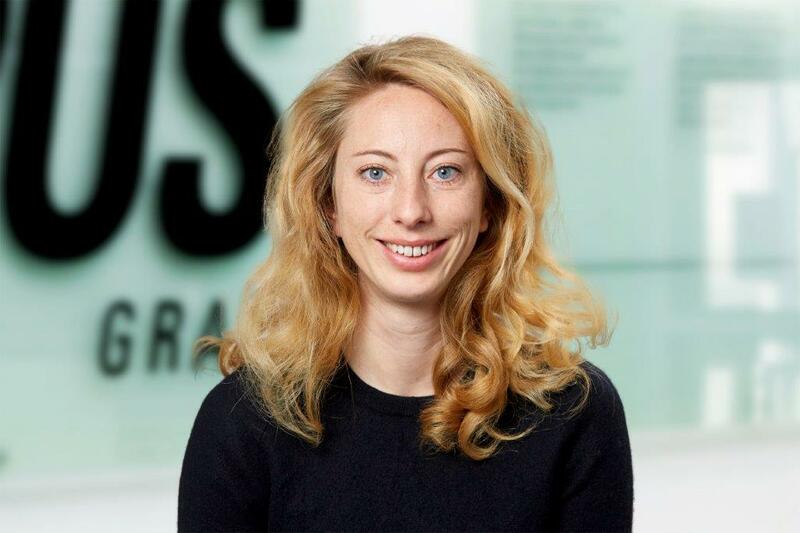 Since 2013, she has been a Post-Doctoral Researcher with the Institute of Microwave and Photonic Engineering, Graz University of Technology, Graz, Austria, and is the Head of the RFID Technologies Research Group. Since 2017, she is an Assistant Professor at the Institute of Microwave and Photonic Engineering. Hubert W. studied Electronics at Technical University Graz. Started professional career with Mikron as Analog Designer. 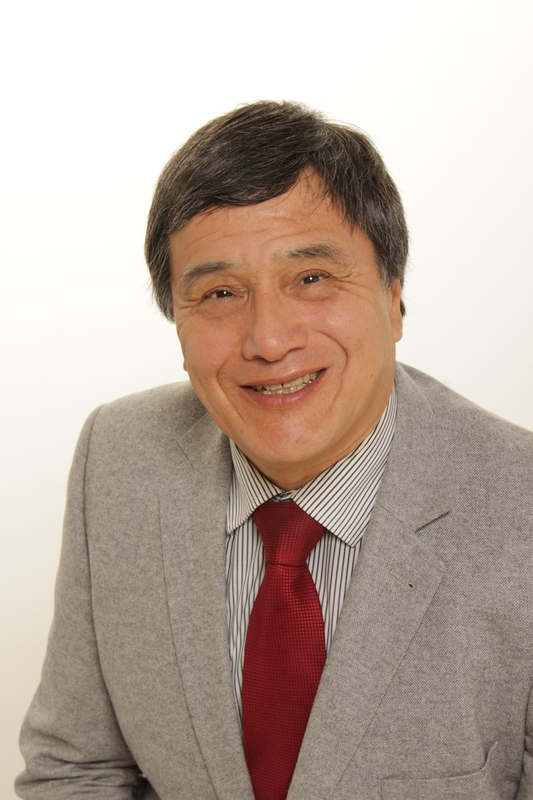 Roland Koo, a graduate of the Technical University Graz, started his professional carrier in mixed signal silicon design and engineering management between 1981 and 1987. In early 1987 he founded Mikron in Austria together with a German Partner. Mikron Austria became the leader in RF-ID and noncontact smart cards due to outstanding innovations and progressive market strategies. In 1995, together with his partners, Roland Koosold Mikron to Philips Semiconductor. In May 1996 he started as a business angel together with his wife Judith. Until now they invested into 17 tech companies. Gerhard Greiner holds a master’s degree in Technical Mathematics from Graz University of Technology in the field of “Search Engines for Online Videotex Systems” (1983). 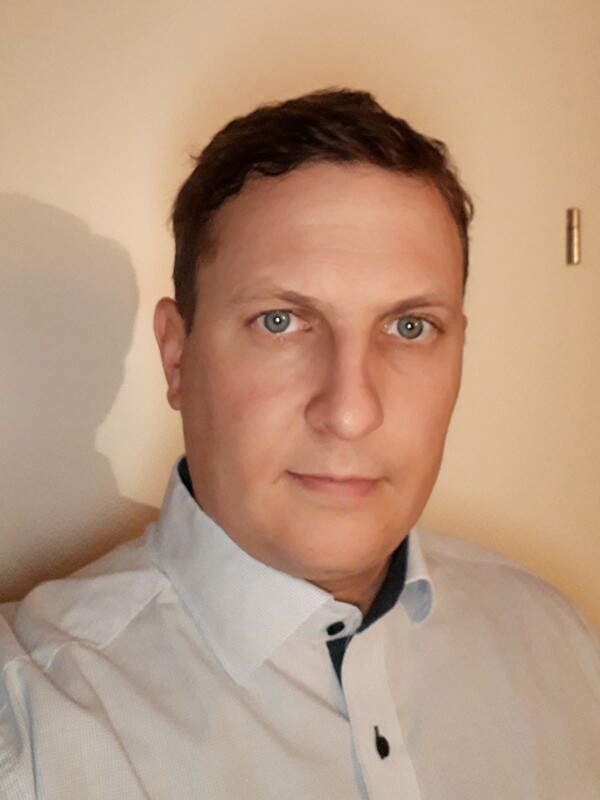 After several years as research and teaching assistant at the Institute of Information Processing Graz (IIG) he worked until 1998 as a technology consultant and project manager at JOANNEUM RESEARCH. He then joined Infonova Information Technology GmbH and became director marketing and sales of a young startup with the idea of using academic Internet technologies for commercial online-access systems in the incumbent telecommunications industry. The Graz-based company has successfully integrated operational and business support and billing systems for value-added service providers worldwide. 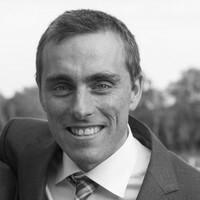 Later Gerhard served as Managing Director and since 2009 has been a Partner at BearingPoint the parent company of Infonova. Gerhard’s innovative spirit and forward-thinking approach led him to platform-based business models for telecommunications, interactive media and smart mobility services. In 2018 he started with ALP.Lab GmbH the Austrian Light vehicle Proving region for testing automatic driving vehicles founded by automotive supplier companies (AVL, Magna) and scientific partners (Joanneum Research, TU Graz, Virtual Vehicle) supported by the Federal Ministry Republic of Austria for Transport, Innovation and Technology. As Director Business Development and Innovation, he focuses on digitizing the test cycle using cloud services as a data exchange platform between simulation & virtual testing scenarios and validation & verification in the real world on closed proving grounds as well as public roads. 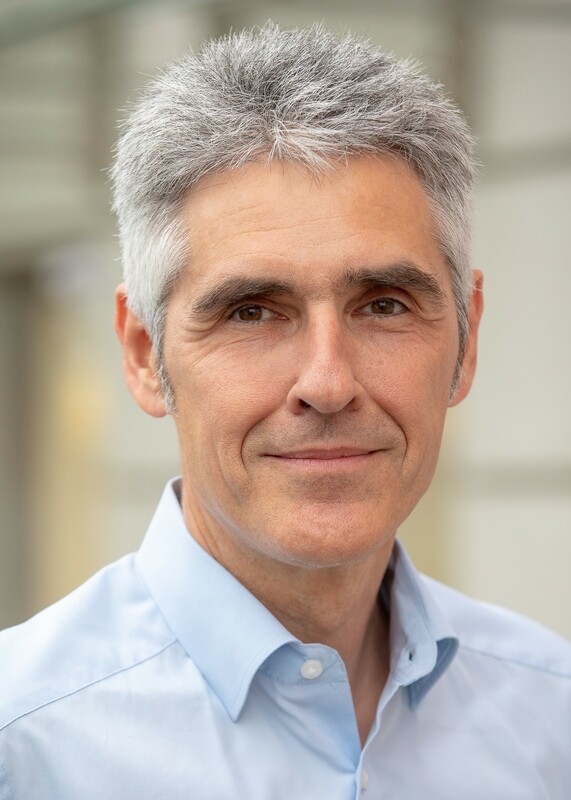 Gert Breitfuß has been Senior Researcher at the Know-Center (Competence Center for Data Driven Business and Big Data Analytics) since 2017. In the research area "Data Driven Business" he is primarily concerned with researching methods and tools to support data-driven business model innovations. After his technical and business education and after several positions in industry (Siemens, AT&S, EPCOS), he taught and researched from 2009 to 2012 as a full-time lecturer in the field of study Innovation Management at the FH CAMPUS 02 in Graz. He then moved to Evolaris (Competence Center for Digital Assistance Systems) as Senior Researcher and headed the Open Innovation research area. 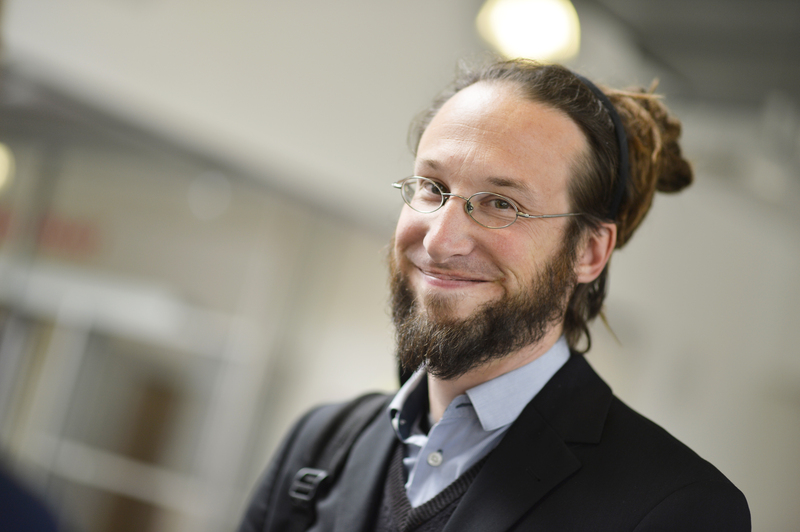 Heimo Gursch works at the Know-Center GmbH in Graz where he is part of the Knowledge Discovery (KD) department. He conducts research in the fields of time series analysis and information retrieval. 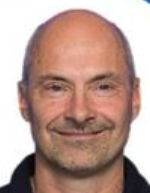 Heimo Gursch works in feature extraction and feature modelling of time series characteristic, with a focus on findings feature representations tailored specifically for processing and interpretation by machine learning and information retrieval algorithms. Wolfgang Kienreich studied Computer Sciences in Graz and Communication Sciences in Vienna. He founded a start-up company specializing in visualization technology and worked for Hyperwave Research. He joined the Know-Center in 2003, where he managed the research area for Knowledge Discovery and Visualization. 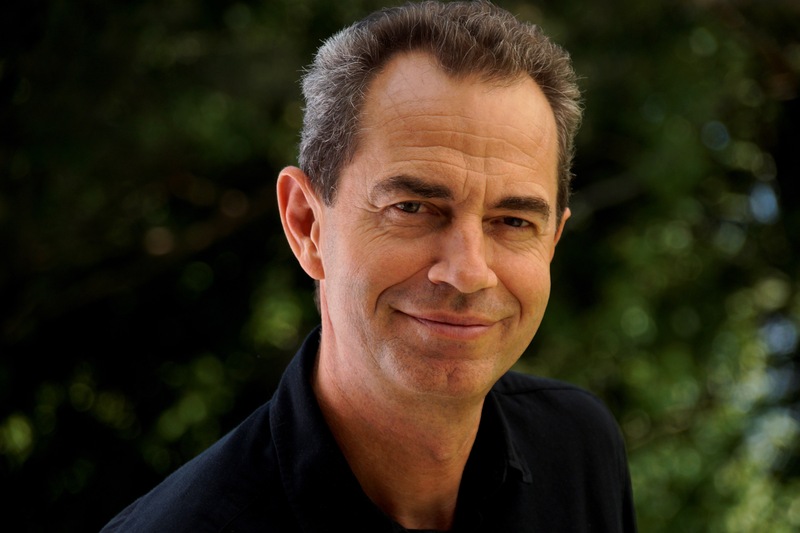 Wolfgang has authored over 60 scientific publications which focus on knowledge visualization and visual analytics. Since 2014, he is Director for Business and Markets at the Know-Center. José Molero received his Ph.D. in Computer Science, specialized in High Performance Computing, in 2018 from the University of Almería. Previously, he studied a Master of Science in Computer Science. Currently, he works at the Know-Center's Big Data Lab as systems architect and technical consultant. With 10 years of working experience, he is specialized in the areas of Big Data technologies, cloud computing, data management and high-performance computing. 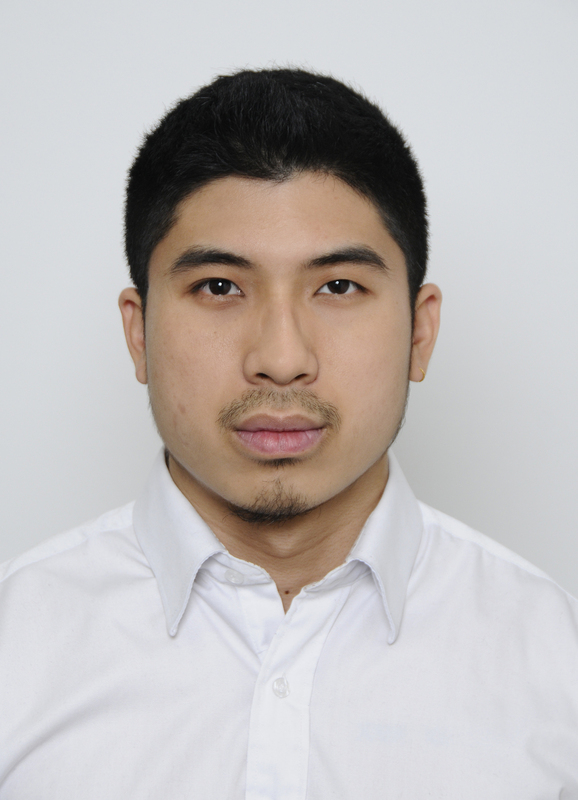 Oliver Pimas works at KC as consultant and business area manager for industrial data analytics. He joined the Know-Center in 2011 and worked predominantly in the fields of natural language processing and data analytics. 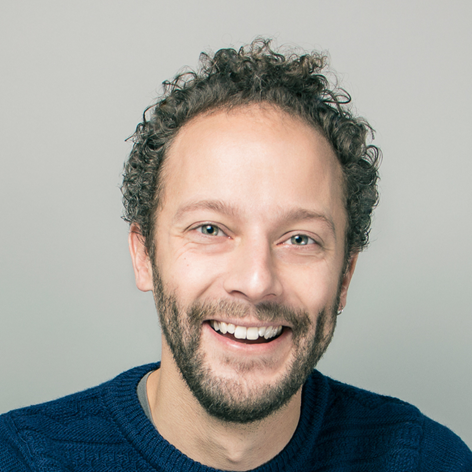 As part of a Marie Curie research fellowship he worked as a data scientist for a London start-up, gaining experience with Hadoop and Big Data technologies. Dr Vedran Sabol (M) leads the Knowledge Visualization Area at the Know-Center. 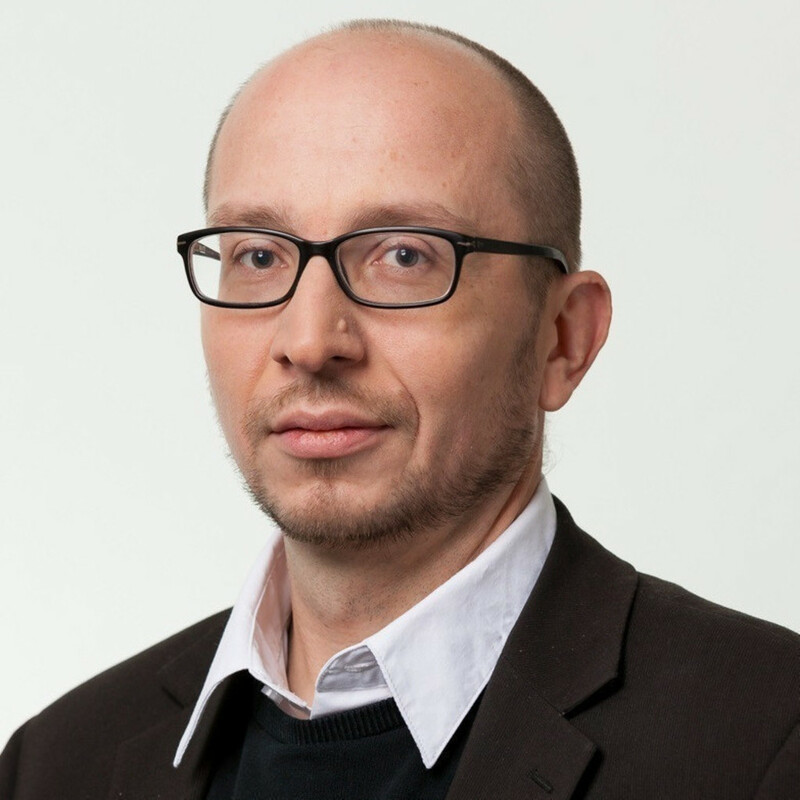 Vedran's research focus is the fields of visual analytics, information and knowledge visualization, human-computer interaction, and knowledge discovery. 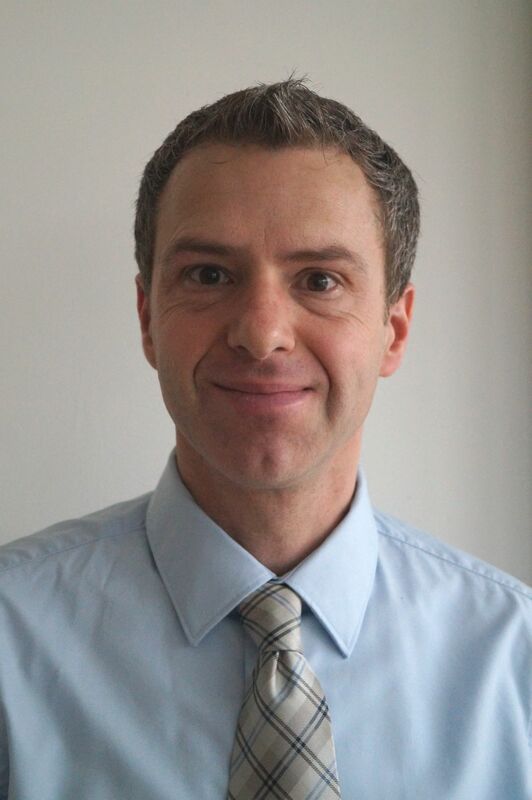 Over the past 15 years he has successfully participated in numerous applied research project involving industry and academia, such as the AFEL H2020 EU project (WP lead), EEXCESS FP7 EU project (WP lead), and CODE FP7 EU project (administrative coordination). Vedran also gives lectures at the Technical University of Graz and serves as supervisor for Bachelor, Master and PhD students. He has published over 60 peer-reviewed scientific publications including journal contributions, book chapters and conference papers at top-tier venues. Social Computing represents the data network perspective and aims to develop novel methods and algorithms to better understand, predict, support and control social behaviour in complex networks, e.g. through recommender systems. Matthias Traub studied Information and Computer Engineering at the Technical University of Graz. Since 2014 he has been working in the field of recommender systems with the focus on Explainability and biases in algorithms. Currently he is pursuing a Master of Business Administration at the Californian Lutheran University. In his position of business area manager in the Social Computing team, he is responsible for coordinating research and industry projects, as well as shaping the business strategy. 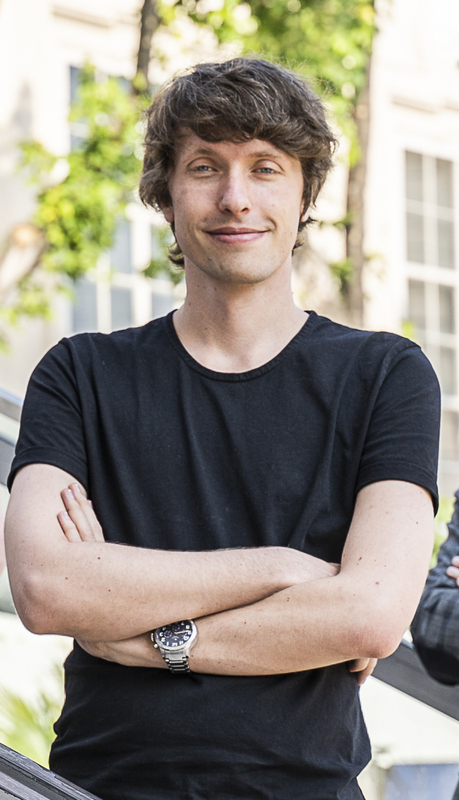 Christof Wolf-Brenner studied business informatics and innovation management and joined the Big Data Lab in 2017. 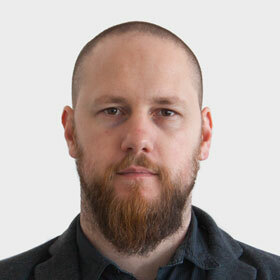 He is responsible for organizing and conducting creative workshops, trainings and customer projects. His focus is on the joint development of use cases with our partners through the systematic generation and evaluation of ideas. 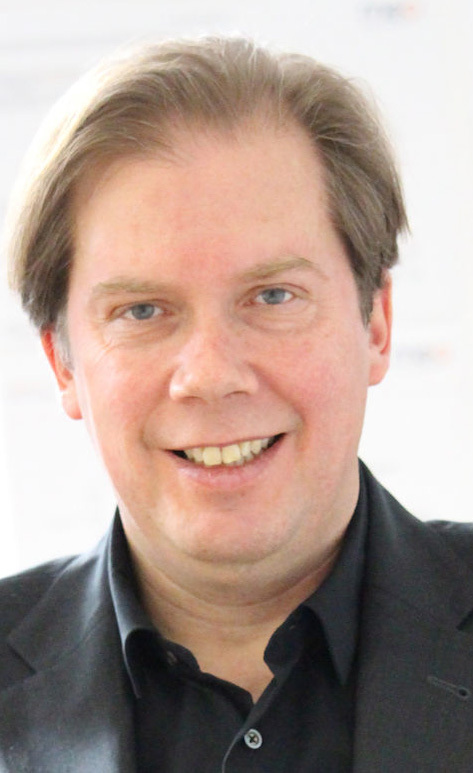 Robert Ginthör joined the Know-Center in 2015 as CTO and Head of the Big Data Lab. Prior to that, he worked for more than 20 years in the Telecom and IT sectors, mainly in software and business development. He lectures on the topics of Big Data and Data-Driven Business at Danube University Krems and Austrian Marketing University of Applied Sciences. Robert Ginthör holds a PhD degree in Computer Science from Technical University Graz. Since 2019 he is member of working group AG 001.42 “Artificial Intelligence” at Austrian Standards. Producer, composer and songwriter in various commercial genres. Gerhard Hammer already worked as a software developer during the period of his studies, so he knows the business from the ground up. His specialist field is personnel planning in large health companies. Already as a young person he enjoyed speaking to a large audience, he made presentations and public slide shows in schools and public halls. 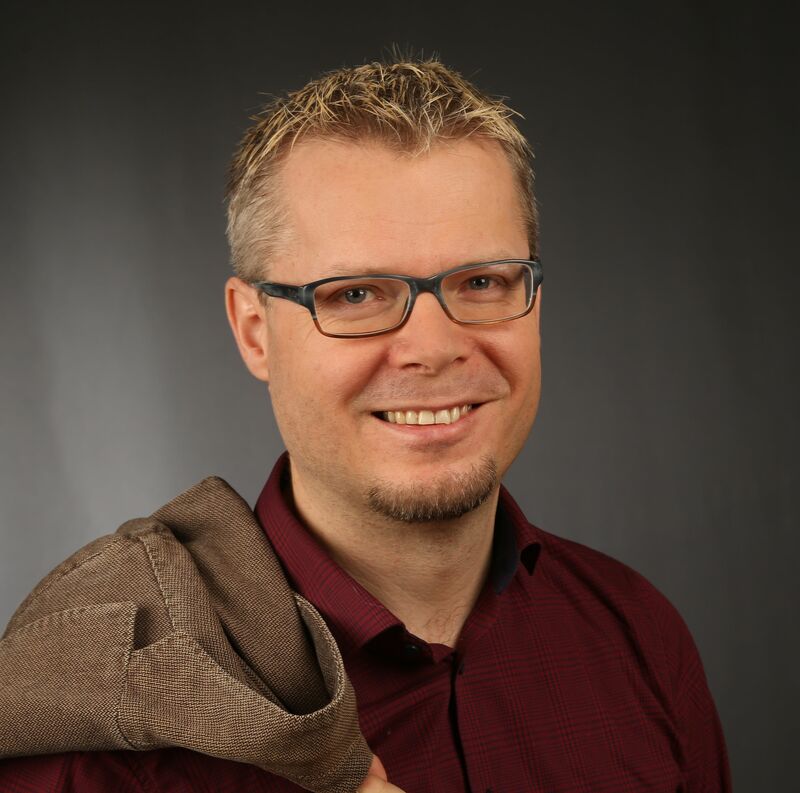 Georg Karner is Head of Marketing at Intact GmbH and has been active in the software industry for several years now, marketing B2B software solutions for the testing, inspection, and certification industry. Being the editor-in-chief at the Integrity Blog by Intact, he regularly writes about innovative technology, business challenges, standards and other industry specific topics. Particularly interesting is his work about possible applications of Blockchain technology as well as its legal and practical limitations. 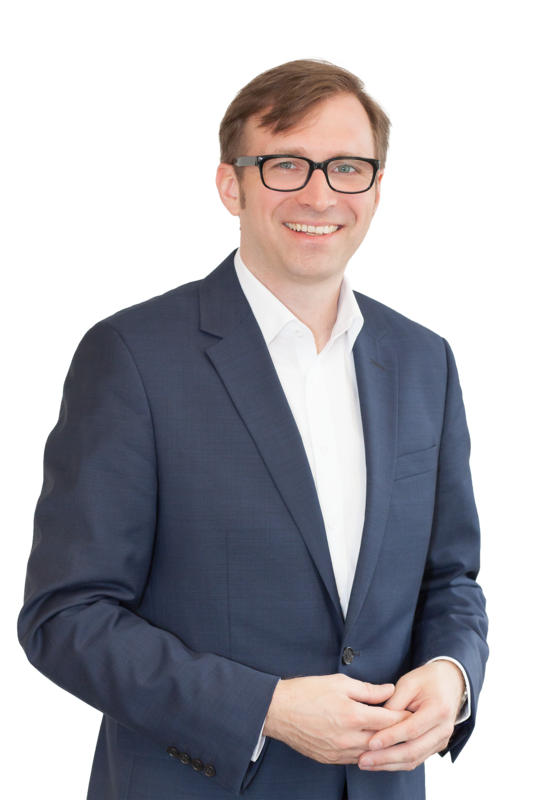 Werner Luschnig is appointed as Executive Director of Silicon Austria Labs GmbH for the start-up phase of the research center. He has a long experience in the semiconductor industry in global R&D positions, e.g. at Infineon and Intel. He graduated in Industrial Electronics & Control Systems Engineering at the Technical University of Vienna and completed a postgraduate program at Fuqua School of Business (Duke University) for Global Executive Management. Andreas Windisch received his Ph.D. in Theoretical Physics sub auspiciis praesidentis rei publicae in 2014 in Graz. He accepted an appointment as a Postdoctoral Research Associate at Washington University in St. Louis, and was awarded an FWF Schroedinger Fellowship. His publications range from particle physics and nuclear physics, to solid state physics and popular physics. He developed a strong interest in Machine Learning, Deep Learning and Deep Reinforcement Learning. 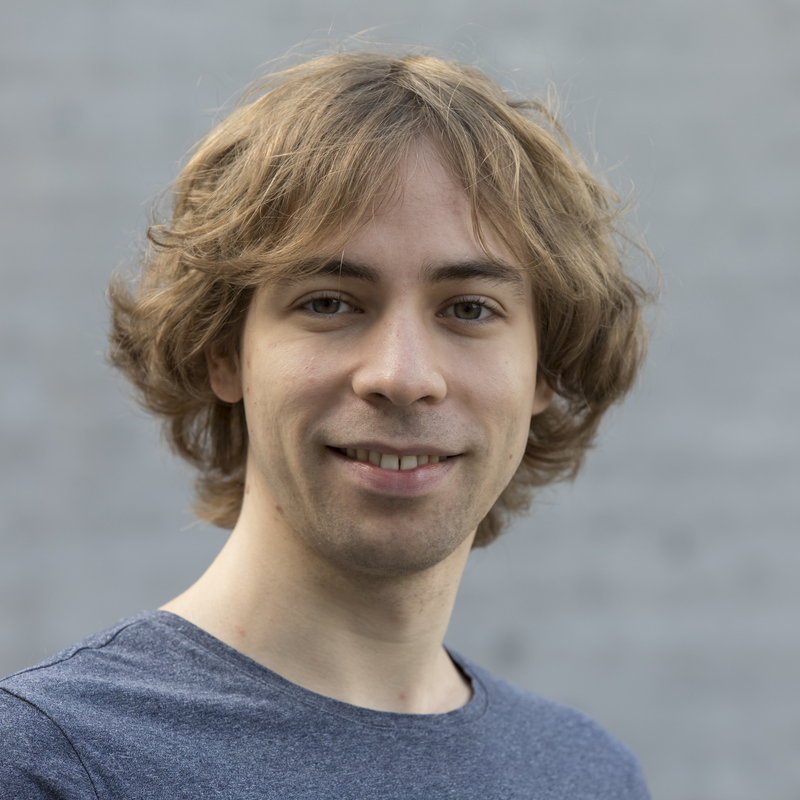 In March 2019, he joined the machine learning research unit of Silicon Austria Labs as a senior scientist. Stefanie Hatzl has a Master Degree in Environmental System Sciences and holds a PhD degree in the interdisciplinary doctoral programme from the University of Graz. Since 2014 she works as scientific project employee at the Institute of System Sciences, Innovation and Sustainability Research with the main focus on social science aspects in renewable energy topics. Since 2017 she is employed at the University of Applied Science CAMPUS 02 as assistend in research and teaching. Her main fields of research are digital services, e-service pricing and smart production. She is involved in national and international research projects. Dipl.-Ing. Manuel Weber studied Computer Science at Graz University of Technology. During his studies he focused on IT-Security and the Internet of Things, while teaching as a studying assistant in the fields of programming, IoT and many more. Afterwards he worked for one and a half years at ITI as a University Assistant where he taught courses on Distributed Systems and Microcontrollers. During his time at TU Graz he also spoke at the Blackhat Asia, on the topic of reliable covert channels in the cloud. Afterwards he joined FRAISS to support the software-architecture team with his expertise, where he is now responsible for secure and reliable backend- and system design. In the context of different projects he also gained additional knowledge in the field of Blockchain technologies and had to find solutions for the “crazy ideas” customers sometimes have, when they first come into contact with the mystery that is called Blockchain. 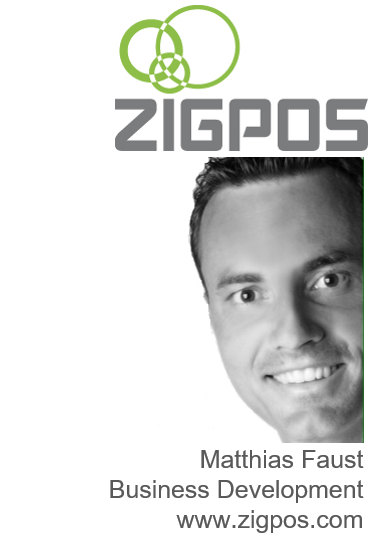 Matthias has become an export for RFID technology and software for automated identification. He holds a degree of the technical university of Graz in electrical - and communication engineering and electronics with additional focus on computer engineering. After working for ten years in the field of embedded software for automation devices (Bernecker & Rainer) he joined 2001 Infineon in the RFID solution business. 2005 he co-founded RF-IT Solution as a MBO now Detego. 2015 he founded erfideo with the main focus to build own and customer specific RFID solutions based on Connect Cloud the erfideo integration platform. whereby she led over 150 people in distributed teams across Europe. and continues to do so throughout all her ventures. 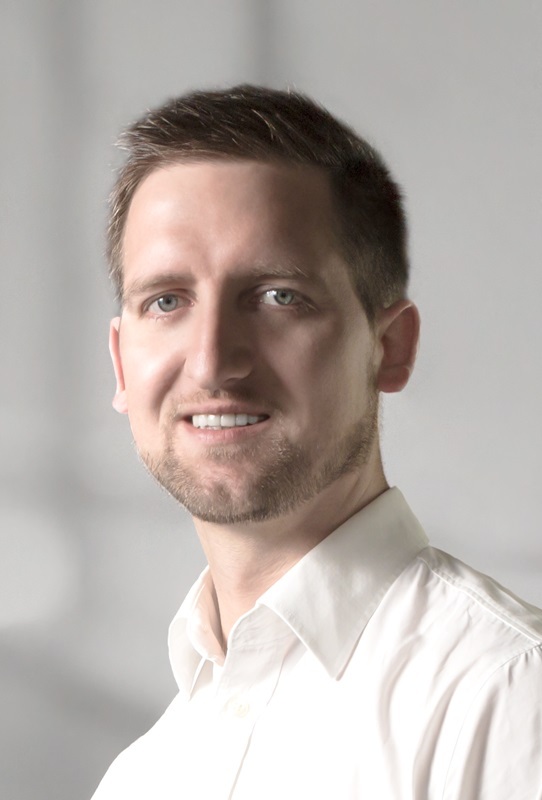 Dr. Alexander Kollreider studied mechanical engineering at the Technical University Graz, Austria where he graduated in 2000 and received his PhD in 2006. He was head of the division “Simulation” at the institute for machine components and design principals. His work focused on system analysis and simulation as well as calculation and engineering design methods for machine components. Besides this, he was leading several industrial projects at the university, supervising numerous engineering design projects and master thesis projects. 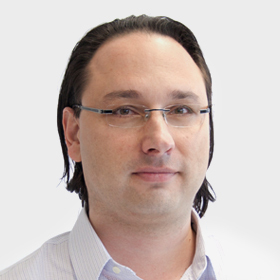 Alexander Kollreider is co-founder and CTO / CSO of tyromotion since 2007. Starting with the first ideas, he co-developed and established the successful products AMADEO, DIEGO, PABLO, TYMO, and MYRO. Furthermore, he played a major role in developing the so-called TYROSOLUTION, which is the worldwide first comprehensive concept for robotic assisted and computer aided rehabilitation. Currently Alexanders work is focused on new concepts for lower extremity devices, OMEGO, a completely new system for gait rehabilitation is already on the market and LEXO, an innovative walking device will follow soon. Driving the company to a worldwide leading position as manufacturer and distributer, he gained rich expertise as former head of the sales department and current head of the R&D department. From these functions, Alexander Kollreider has comprehensive insights into the rehabilitation market requirements to develop market appropriate business and marketing concepts for the successful introduction of new robotic rehabilitation systems to the market. Since 2014 Senior Product Manager Powertrain Electrification.As Senior Product Manager he reports to the Vice President Businessfield Electrification and is responsible for the powertrain electrification productline on system level. His biggest ambition is the realisation of affordable and sustainable mobility. Dr. Patrick Pertl is senior scientist at HyCentA Research GmbH, the Hydrogen Research Center Austria in Graz. He is predominantly concerned with research and development projects regarding production, storage and application of hydrogen. Before he joined HyCentA, Mr. Pertl has been working from 2008 to 2017 at Graz University of Technology at the Institute of Internal Combustion Engines and Thermodynamics where he finished his PhD in Mechanical Engineering. At the Institute he has been leading several international research projects and he is author of several scientific publications. Moreover, he has been university assistant with tenure and he has been teaching several years in lectures like thermodynamics as well as computer aided engineering. In 2008 he has finished his master in mechanical engineering and before that he has been working as project assistant at the institute of internal combustion engines and thermodynamics. Helfried Müller is Head of Alternative Propulsion Systems / R&D at Magna Steyr Fahrzeugtechnik in Graz, and has been working for MAGNA since 20 years in several positions (Module Group Leader Chassis/Powertrain Vehicle Electrification, Product Manager MAGNA E-Car Systems, Project Manager Hybrid Vehicle Programs). He was born in Graz / Austria and has graduated in Information Technology and Electrical Engineering. His field of experience includes complete vehicle integration competence on various alternative propulsion systems and technologies as well as expertise on hydrogen storage system development. Helfried Müller is author and co-author of several papers as well as speaker at various international conferences in his specialist fields. 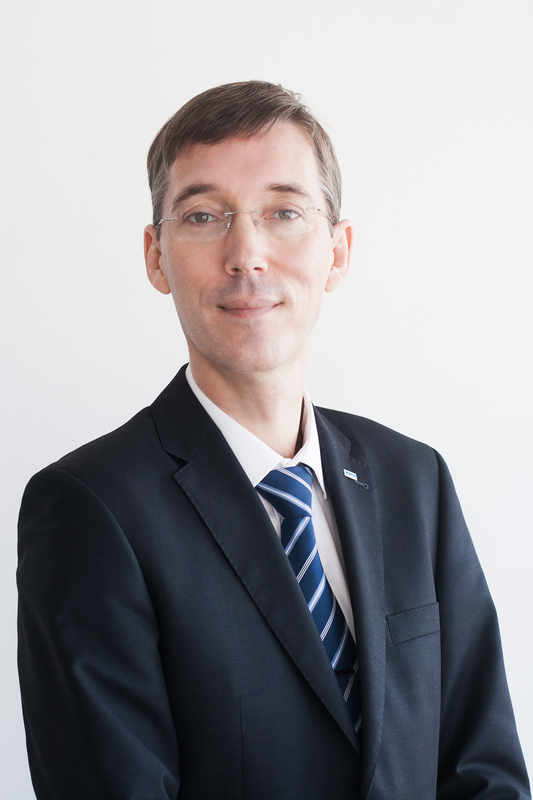 2013 – 2016: Audi Electronics Venture GmbH, Head of Predevelopment Driver Assistance Systems. 2008 – 2010: Volkswagen AG Group Research, Head of the department HMI Concepts and Human Factors. March 2004 – Dec. 2007 Volkswagen AG Group Research, Head of the team: HMI and Simulation K-EFFD/G. Jul 2001 - March 2004 University of Munich – GRP (Generation Research Program – Head of the team „human-machine-interaction“. Jul 1999 - Jul 2001 Sciencia GmbH Munich, BrainCar; a series of projects in the field of media and distraction for Honda R&D Japan. 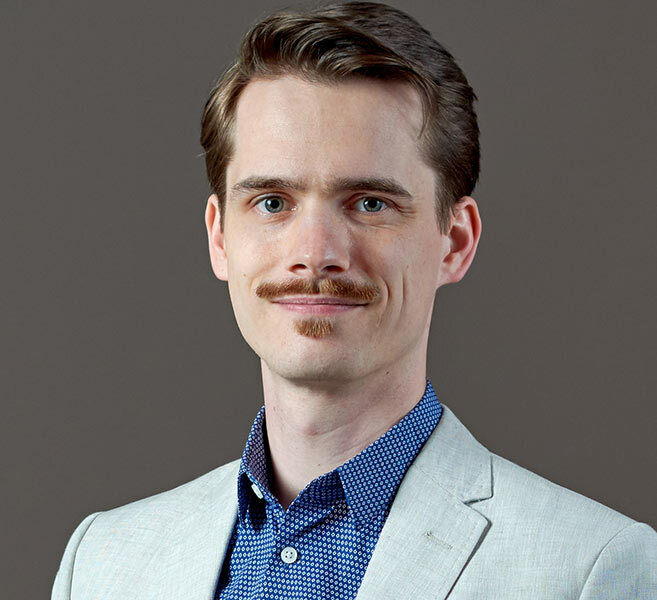 Christian Timmerer is co-founder of bitmovin and CIO | Head of Research and Standardization. He received his M.Sc. (Dipl.-Ing.) in Jan’03, Ph.D. (Dr. techn.) in Jun’06, and habilitation (venia docendi, Priv.-Doz.) in Jun’14 from the Alpen-Adria-Universität Klagenfurt where he also holds the position of an Associate Professor. His research interests are immersive multimedia communication, streaming, adaptation, & Quality of Experience; he coauthored seven patents, has published more than 200 papers in these areas, and presented at both scientific and industrial conferences and shows, notably - but not limited to - Streaming Forum and NAB. Dr. Timmerer is an active member of ISO/IEC MPEG, notably the head of the Austrian delegation and editor for MPEG-21, MPEG-M, MPEG-V, and MPEG-DASH. Subscribe to blog.timmerer.com or follow him @timse7. Frank Geissler studied electrical engineering in Dresden (Germany) and graduated in 2004 with focus on equipment automation. He started his professional career in the semiconductor industry joining Brooks Automation (Germany) in 2004. After working for one year in Jena he served as Production and Outsourcing Manager from 2005-2006 in Tainan (Taiwan). In 2009 he joined AIS Automation in Dresden (Germany). Also in 2009 he finished his MBA from HHL in Leipzig (Germany). 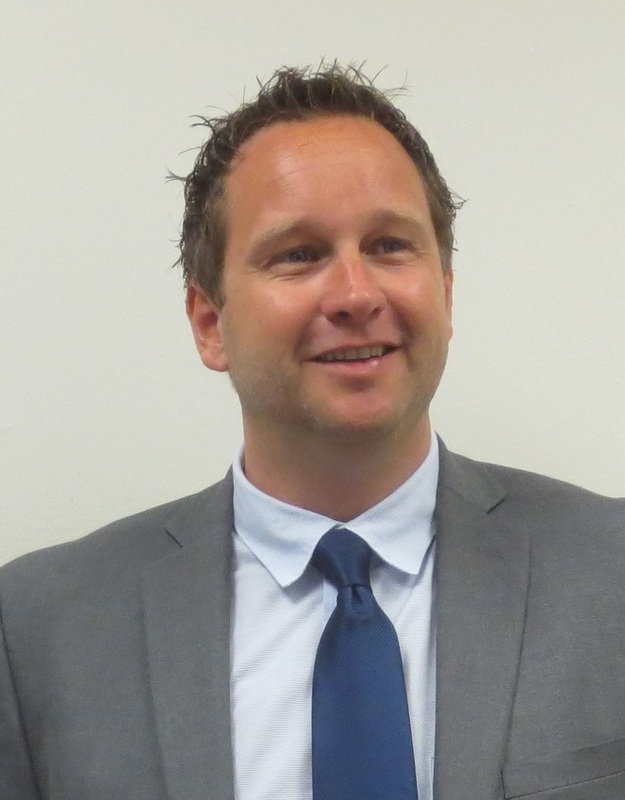 As Director Sales he is leading the sales and marketing department since June 2014. AIS Automation is a leading provider of process and factory automation as well as equipment control solutions with a focus in semiconductor industry. The factory automation software from AIS is the backbone of productions worldwide and the equipment control solutions from AIS incl. SEMI compliant interfaces are used in thousands of batch, inline and cluster tools. 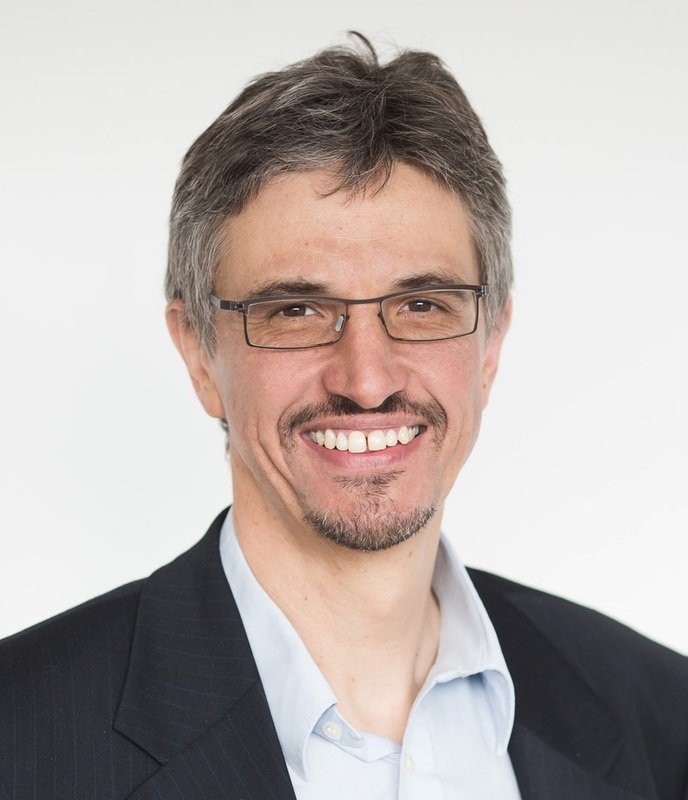 Sandro was appointed CTO of the Infineon Division “Power Management & Multimarket” in October 2014.Within Infineon, PMM Division is responsible for products addressing Power Flow Efficiency, 5G and Intuitive Sensing. He is responsible for the Innovation Labs, System Concept Engineering, Methodologies & Tooling Infrastructure. The Teams have now focus activities in AI Machine Learning for edge ICs. Sandro joined Infineon in 2002as VP & GM of the ASIC Business Group, later he also run the Security Authentication and the Power IC business. Prior Infineon, he was GM Data Storage for STM and started as Electronic Engineer in the Olivetti Team that developed the first Electronic Typewriter. Helmut Brückler was born and raised in Villach, Austria. He completed his master studies in Geomatics Engineering at Vienna University of Technology and San Diego State University. He began to work as a software engineer for Intergraph. In 2015, he founded his own business in San Diego, CA, focusing on data analysis for site selection. Additionally, he worked as an independent IT and project management consultant. 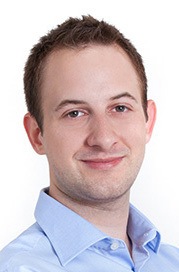 He is currently responsible for business development and start-up consulting at build! Gründerzentrum Kärnten, where he is passionate about helping startups to scale and accelerate. Proven excellent communication and analytical skills, proficient in report drafting and excellent team working abilities as project manager. How to make smartness smart? 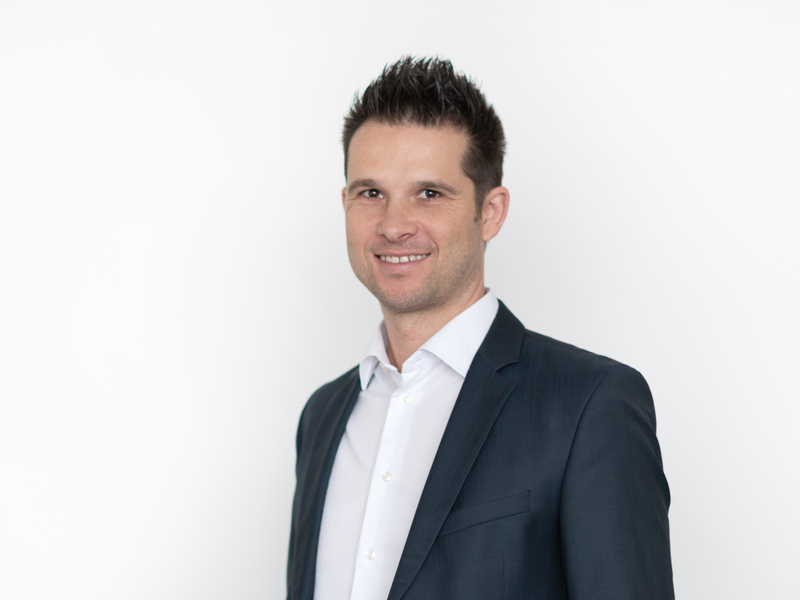 Christian Kittl is managing director of the innovation center evolaris next level GmbH in Graz, where he has been working since 2000, specializing in the development of "Digital Assistance Systems". 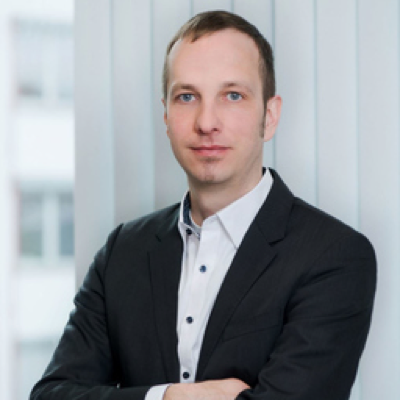 He has a degree in Telematics (Graz University of Technology), a PhD in Business Administration (Karl-Franzens University) and is a author of more than 50 publications. 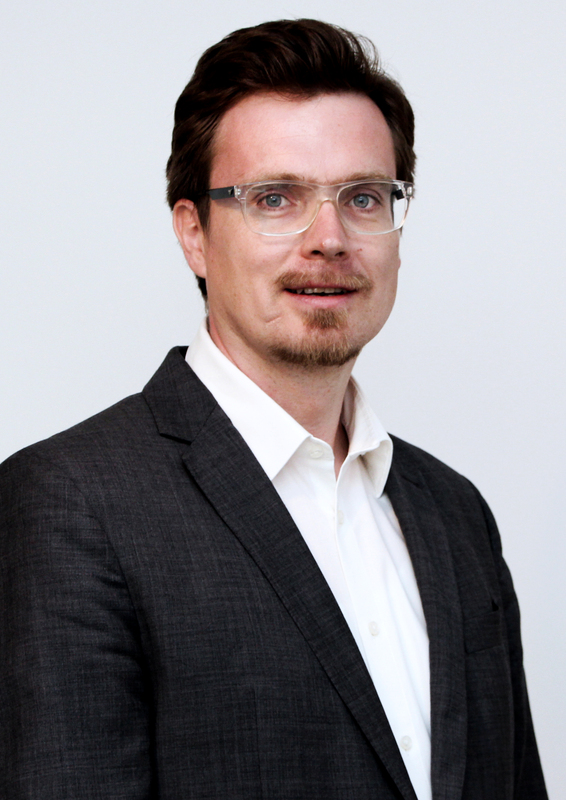 Christian Kittl is a member of the IFIP Working Group 8.4 (E-Business: Multi-disciplinary research and practice) as well as numerous advisors to international conferences and journals in the field of e- and m-Business. He worked as a lecturer at various universities and also as a captain and mentor of the 2010 degree program Information Technologies & Business Informatics at the University of Applied Sciences Campus02 in Graz.